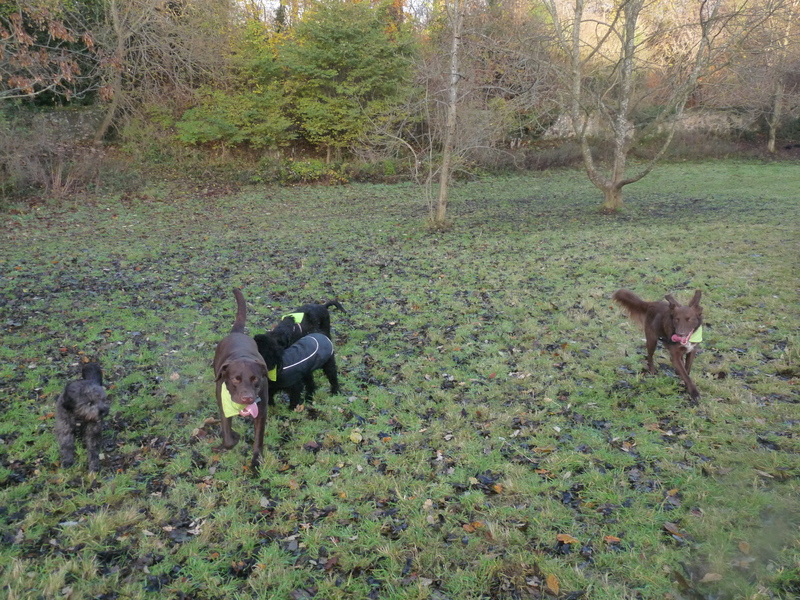 It has been another very busy day!! 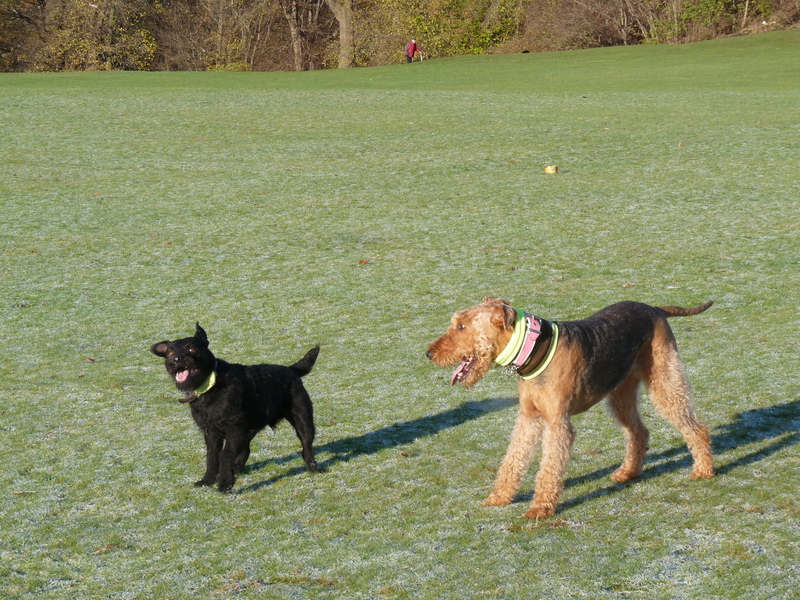 Four walks later…First walk today started at 7am. 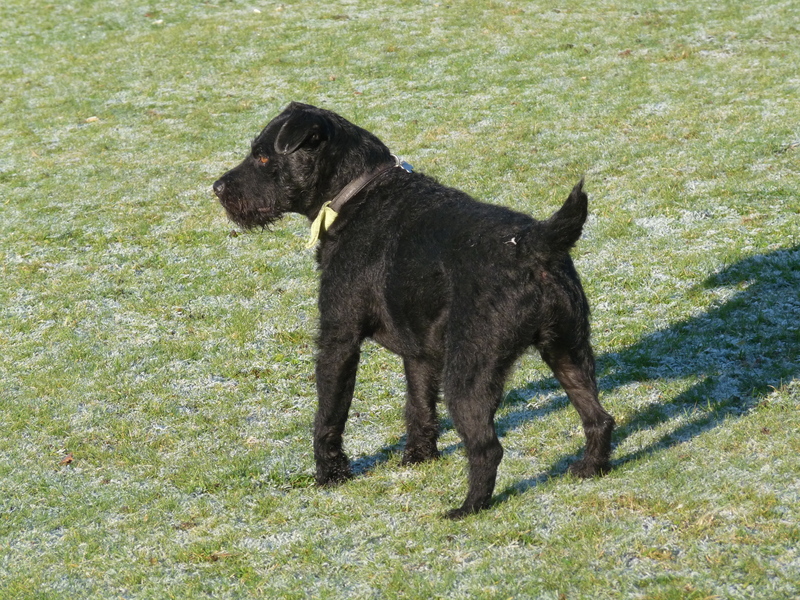 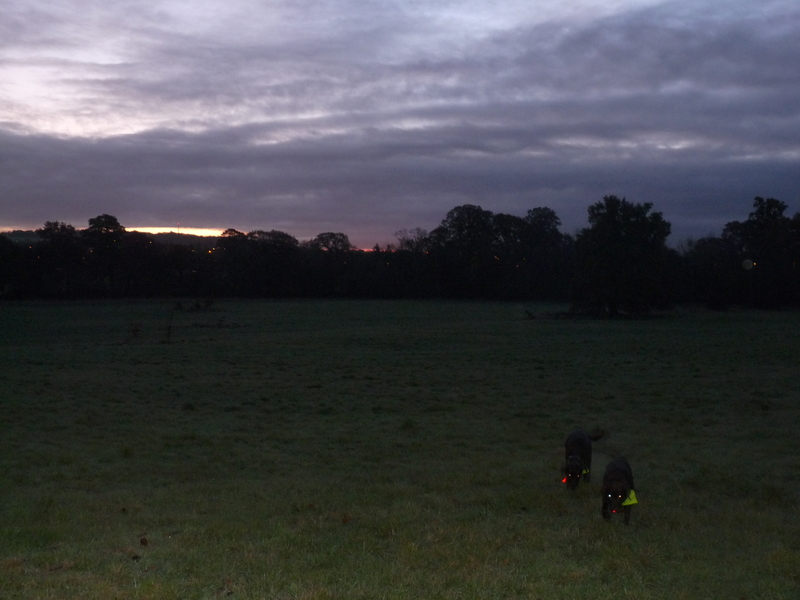 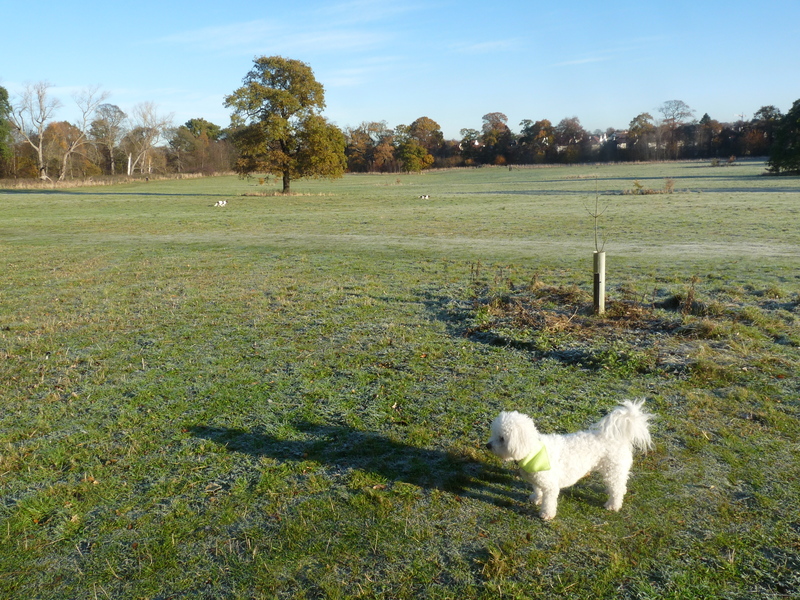 Archie and Gena and I enjoyed a beautiful sunrise over Cammo Estate with a good hour of ball chasing! 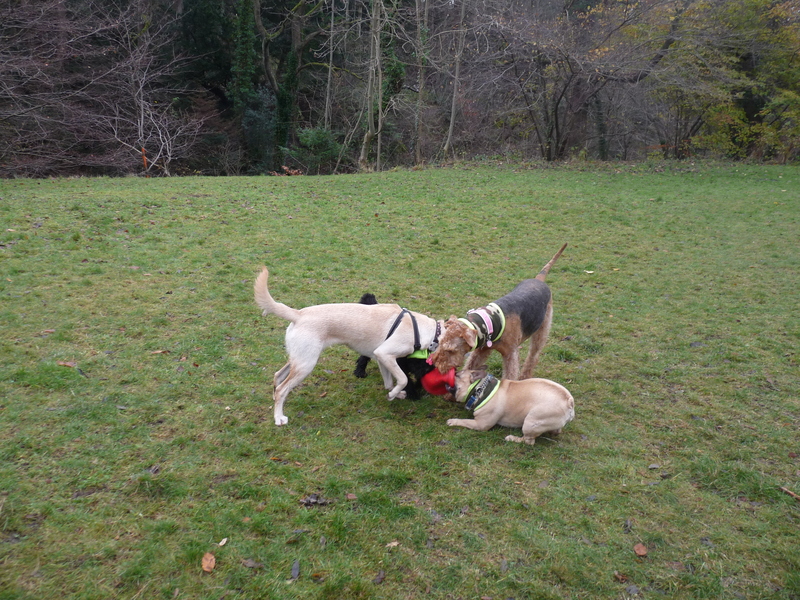 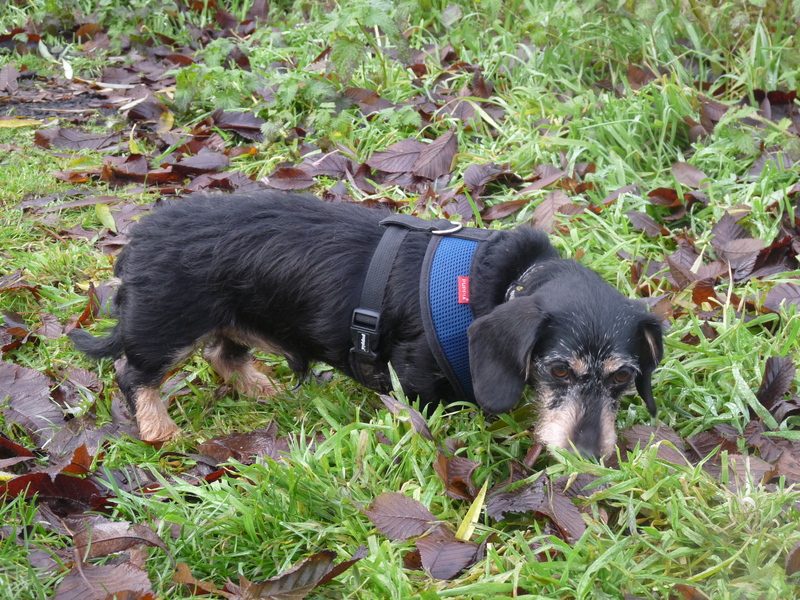 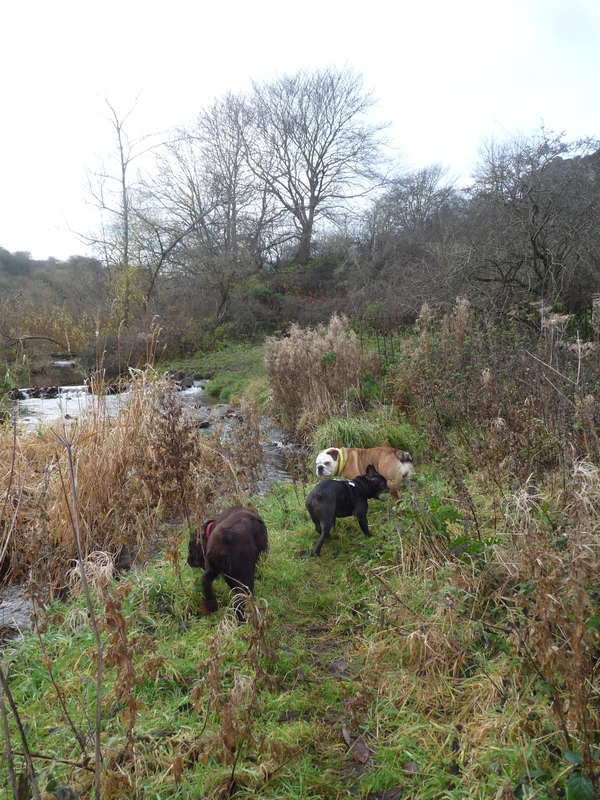 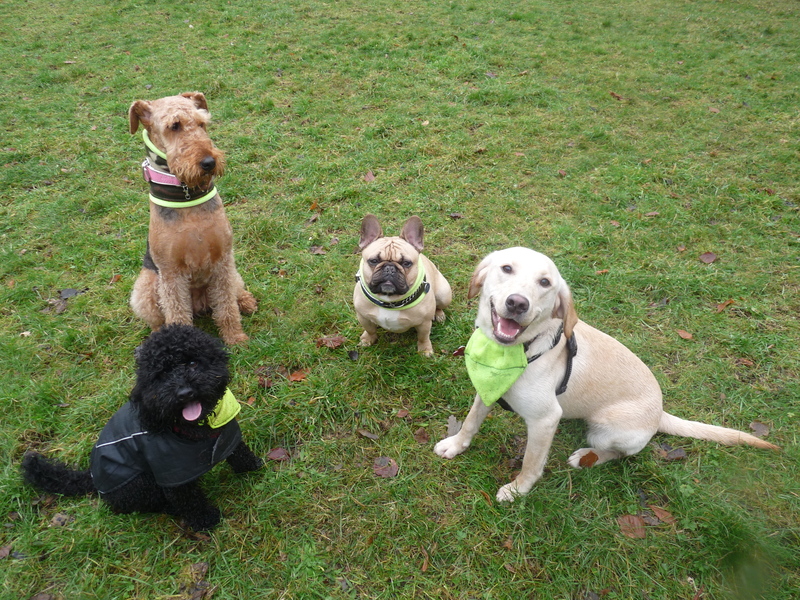 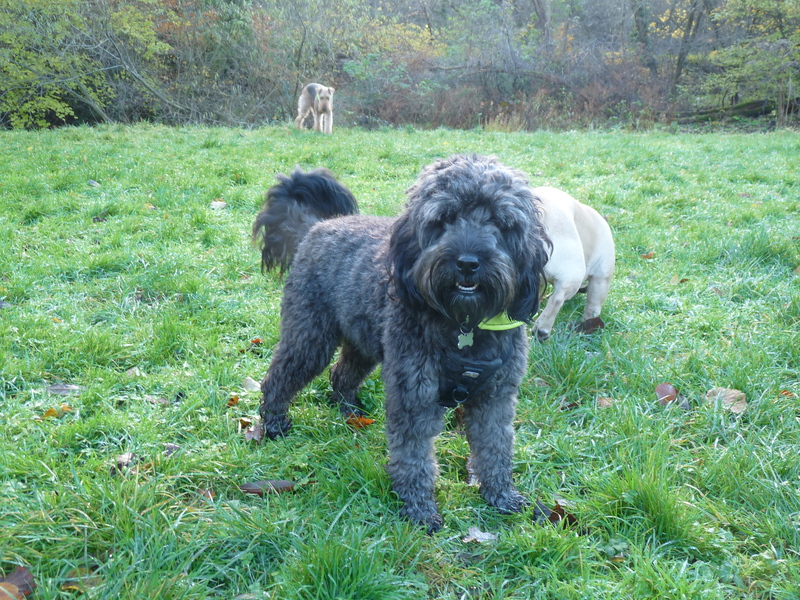 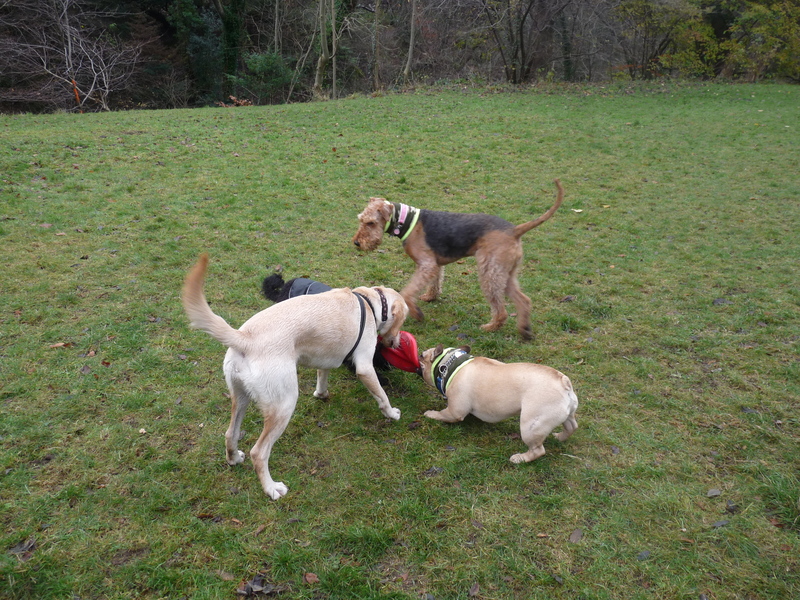 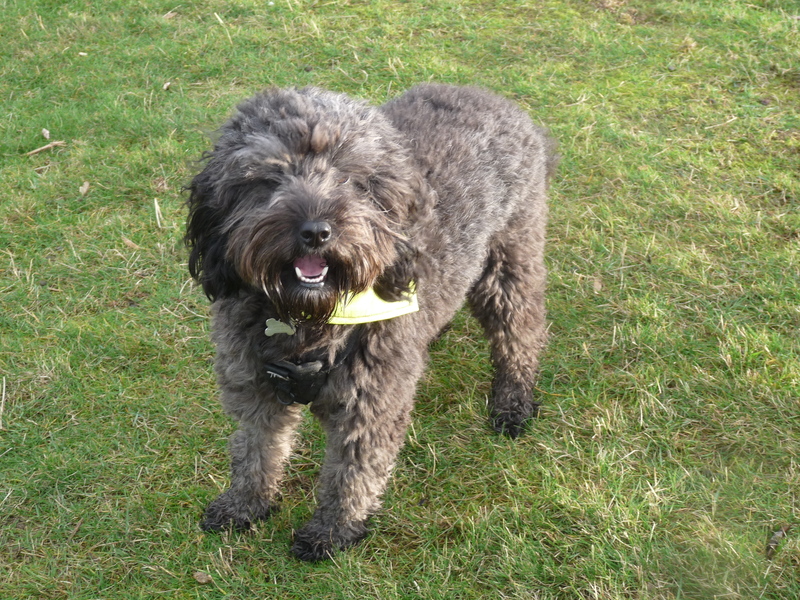 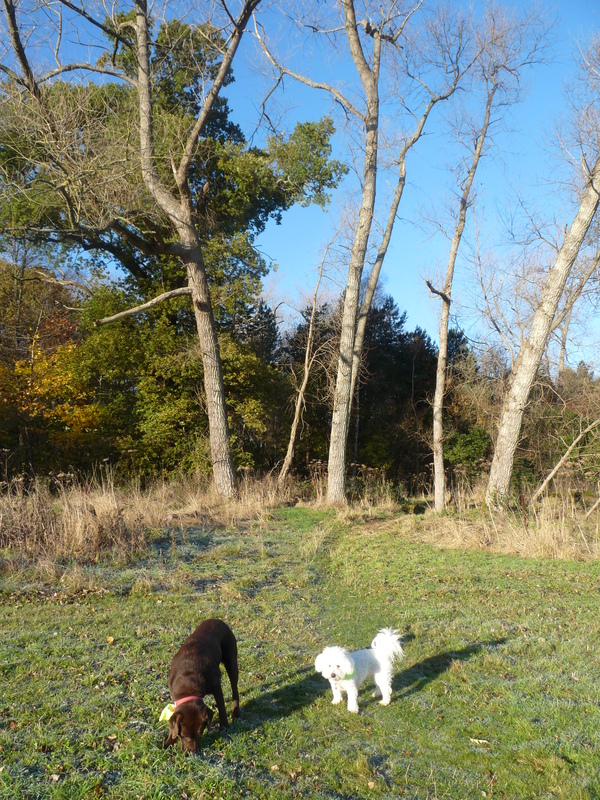 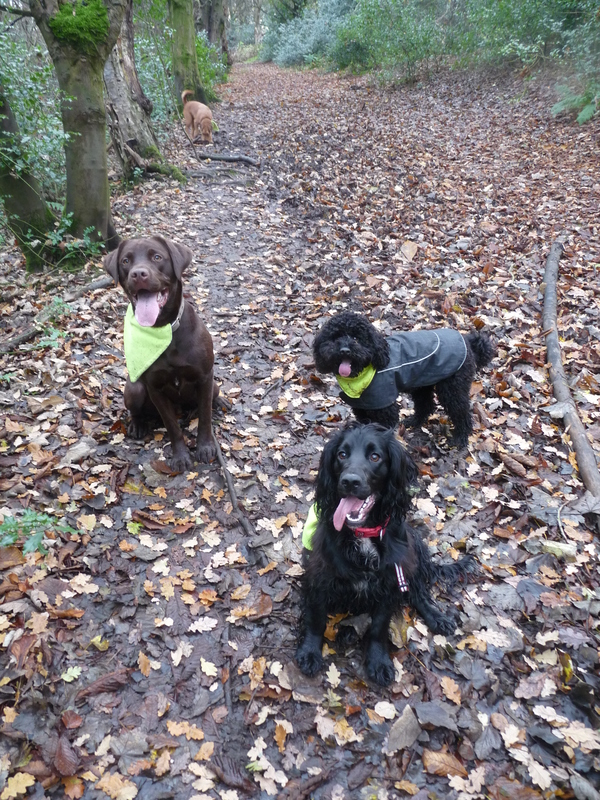 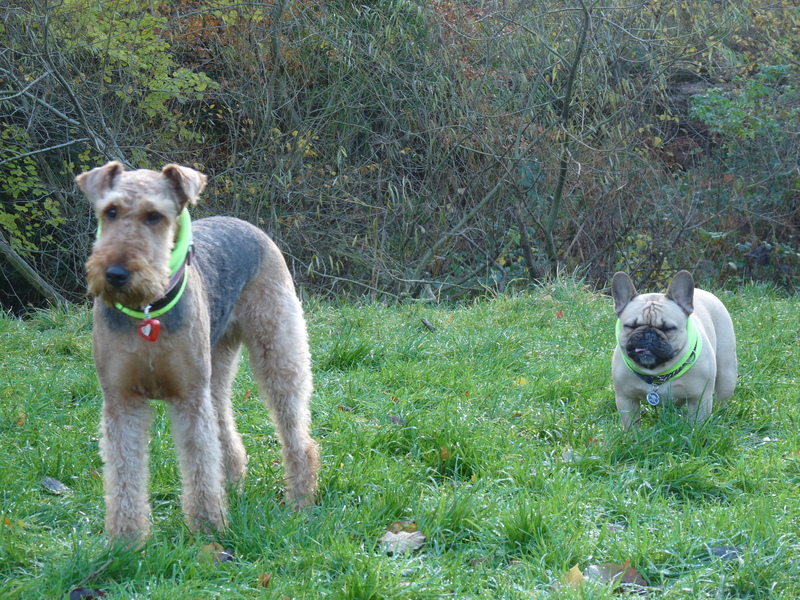 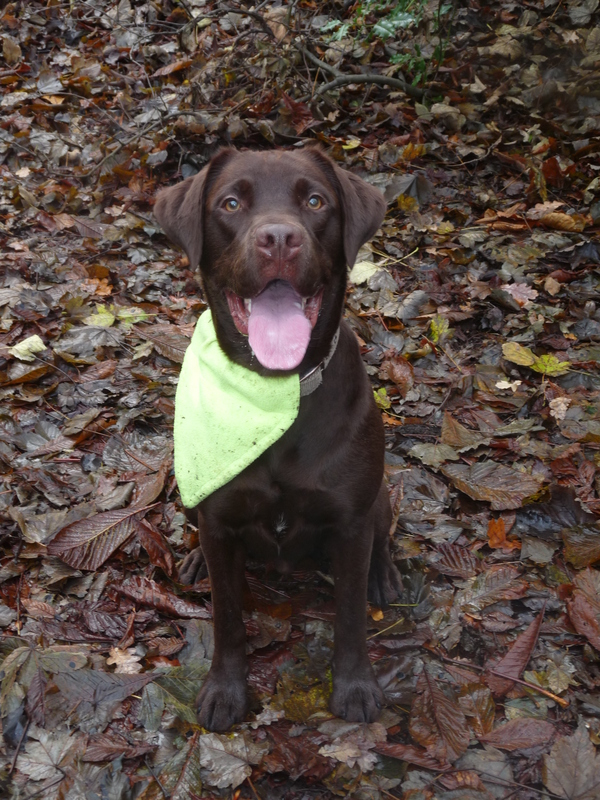 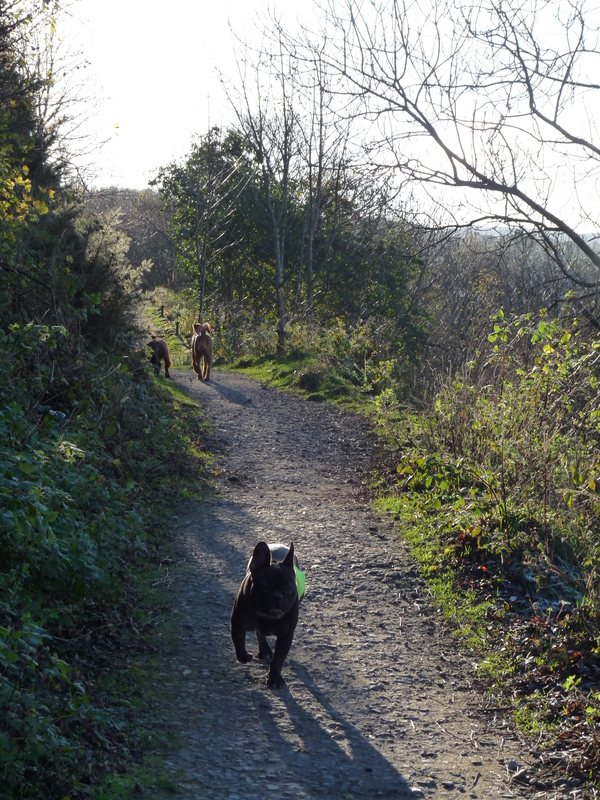 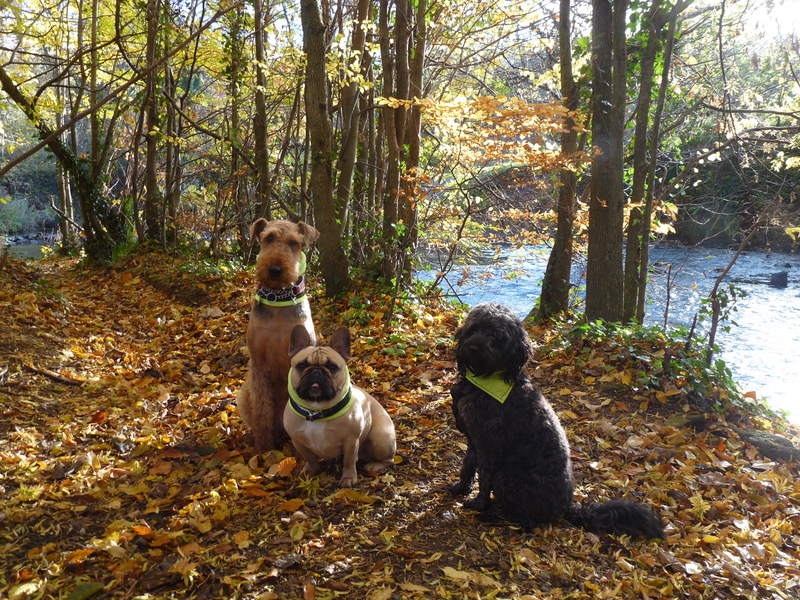 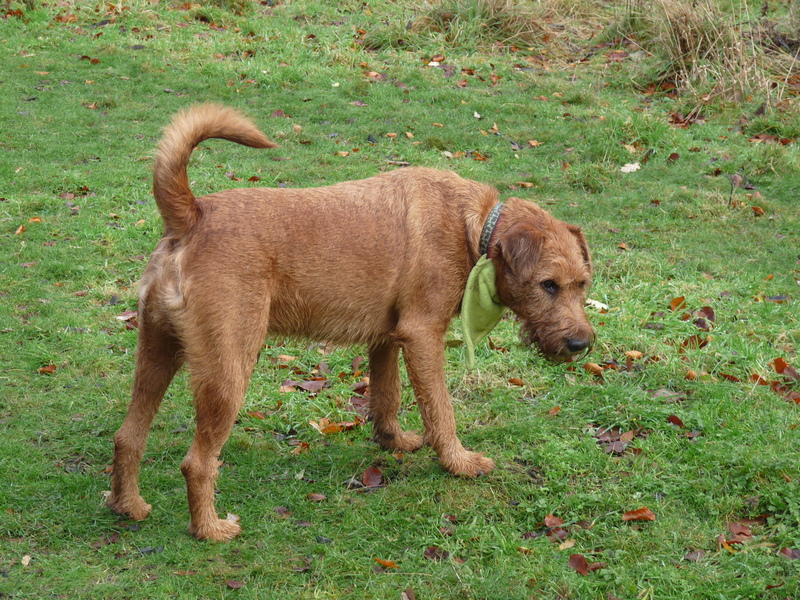 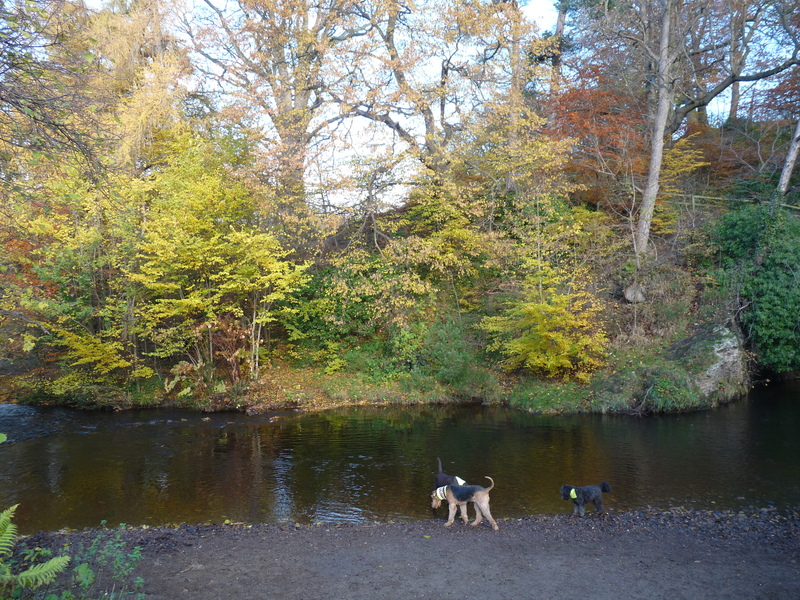 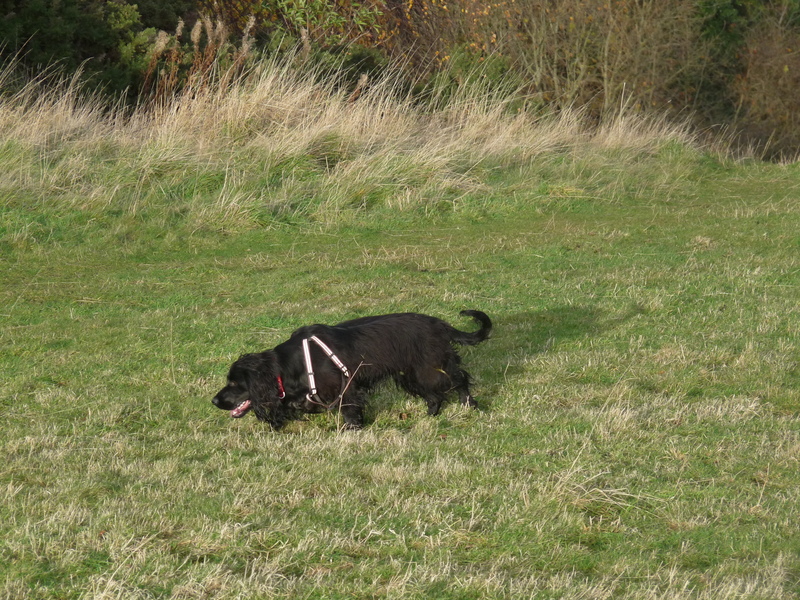 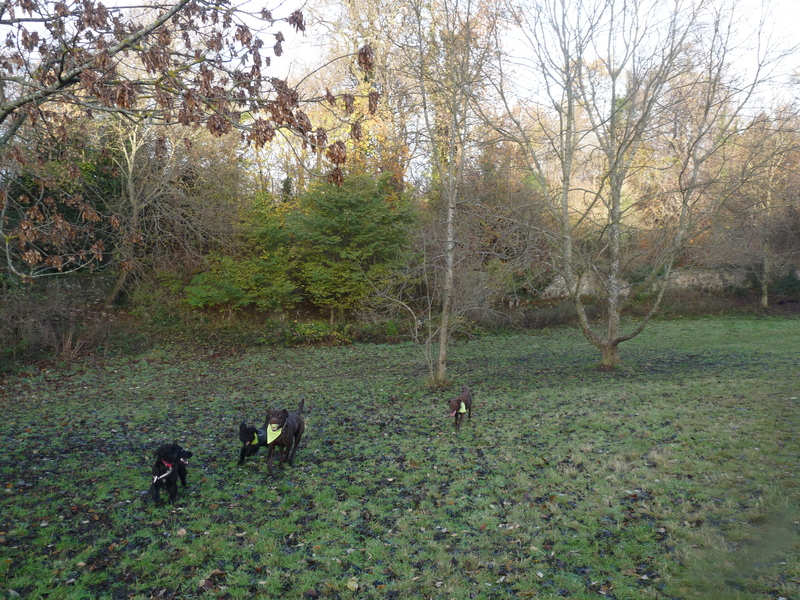 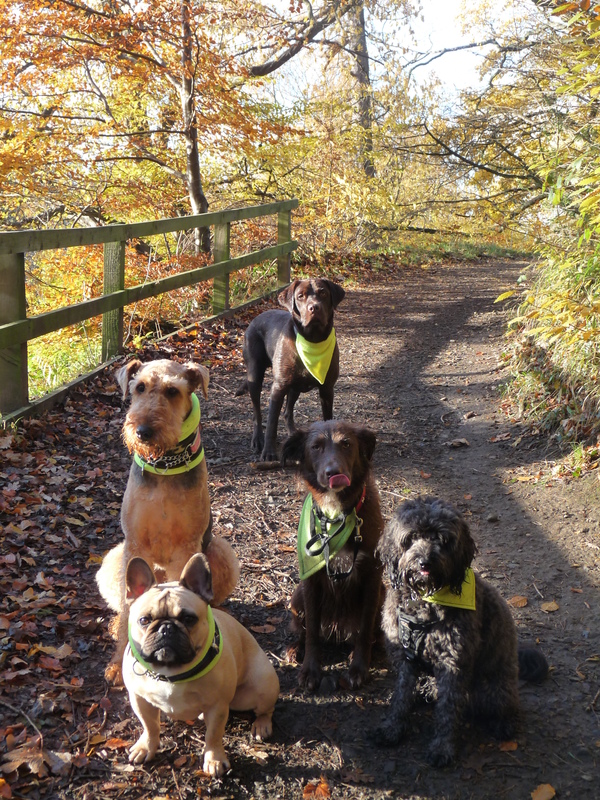 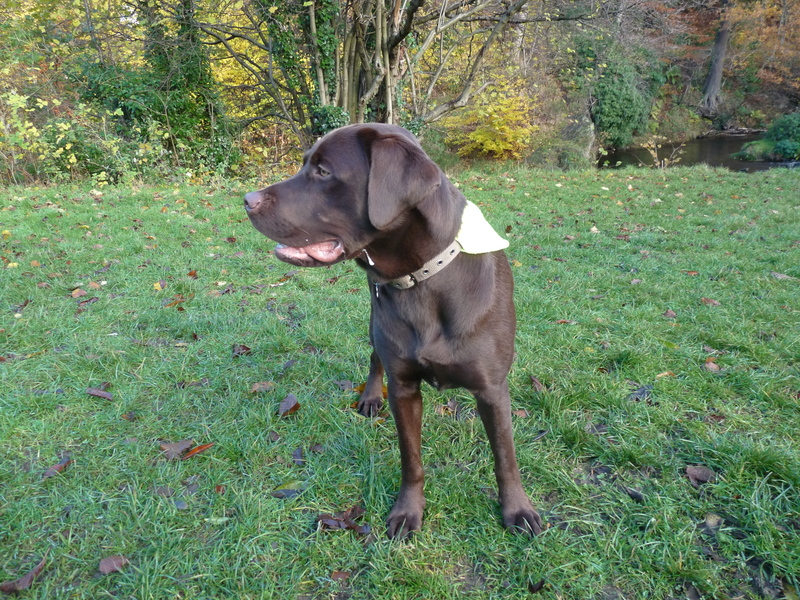 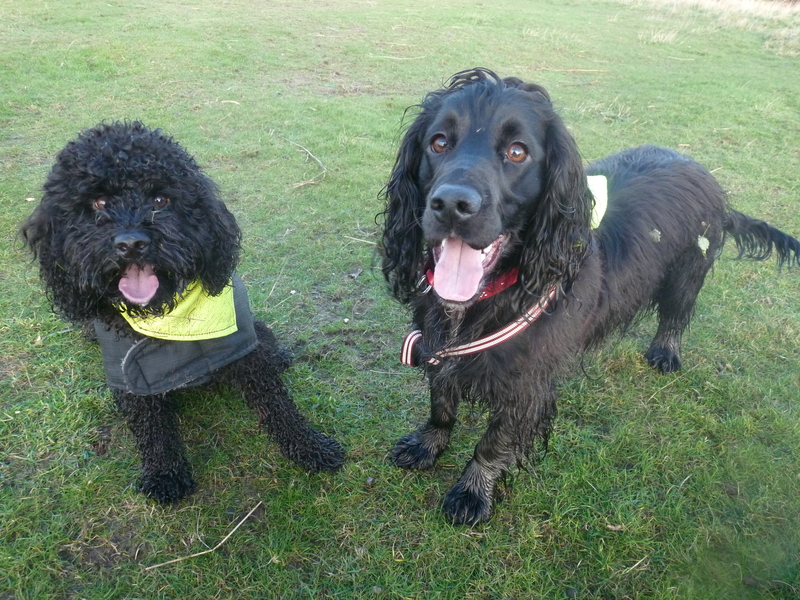 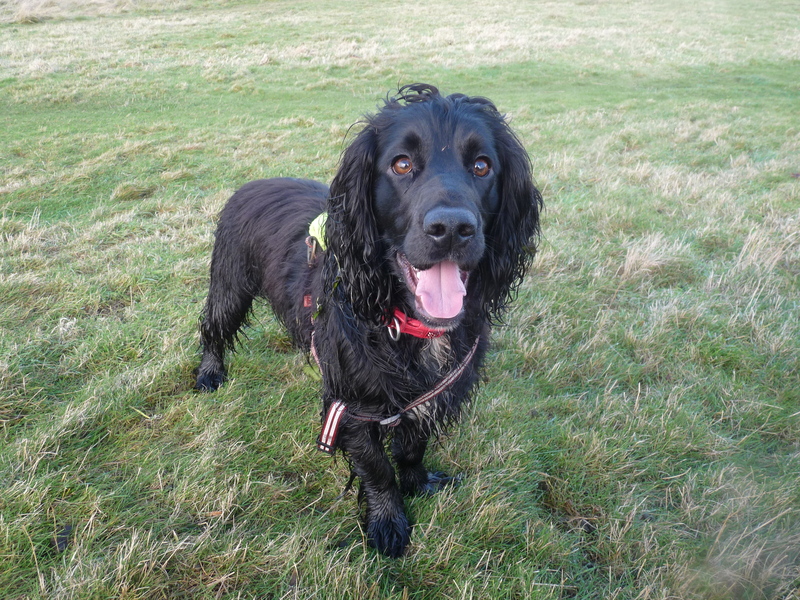 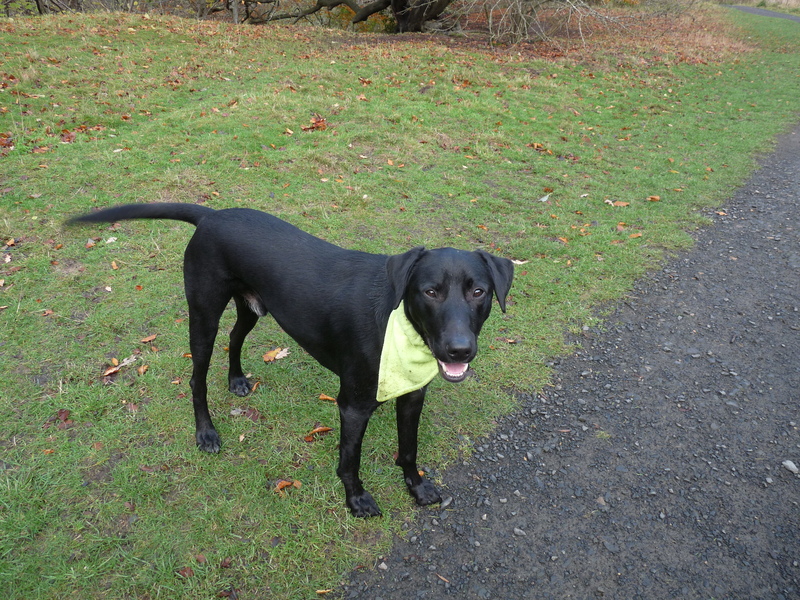 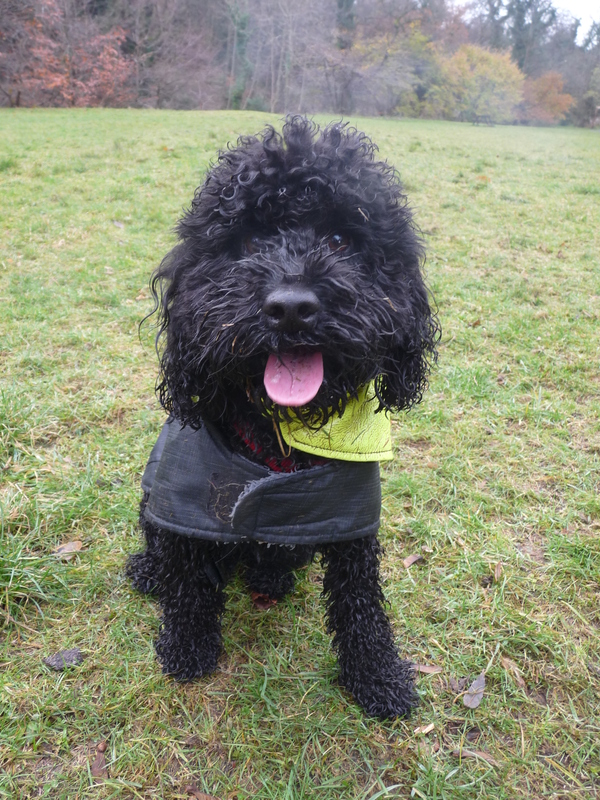 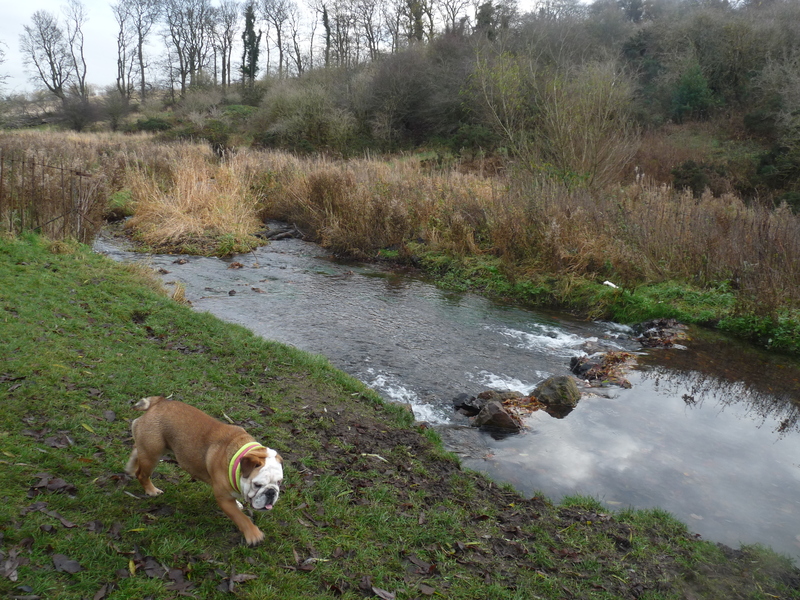 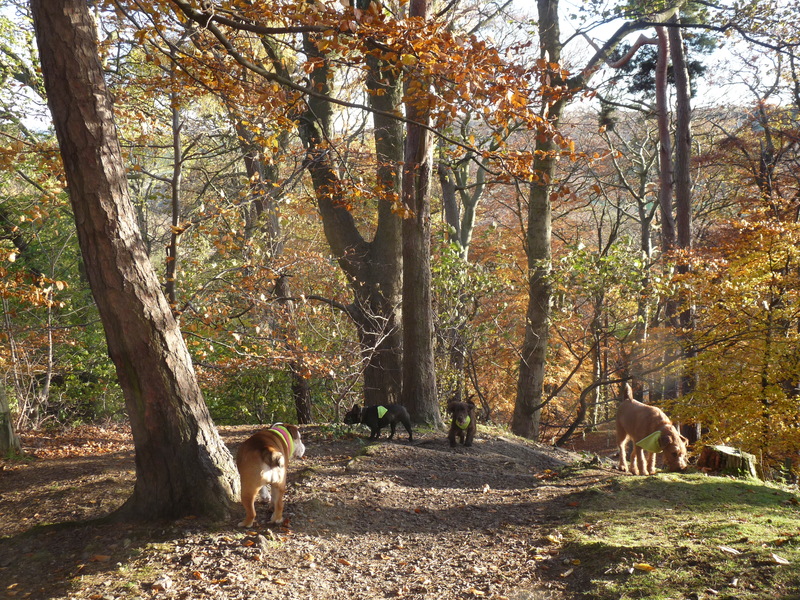 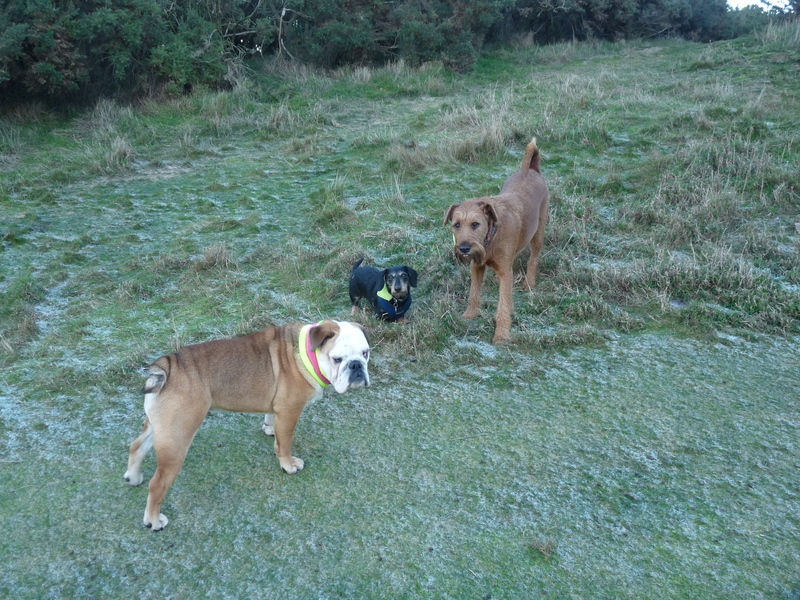 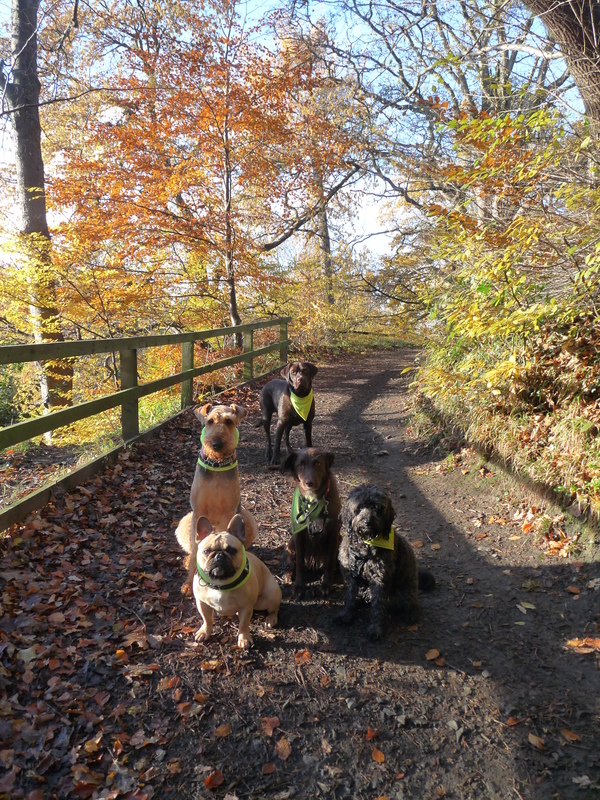 Thirdly Hector, Maud, Kobi and Archie enjoyed frolics along the river back followed by some rabbit hunting. 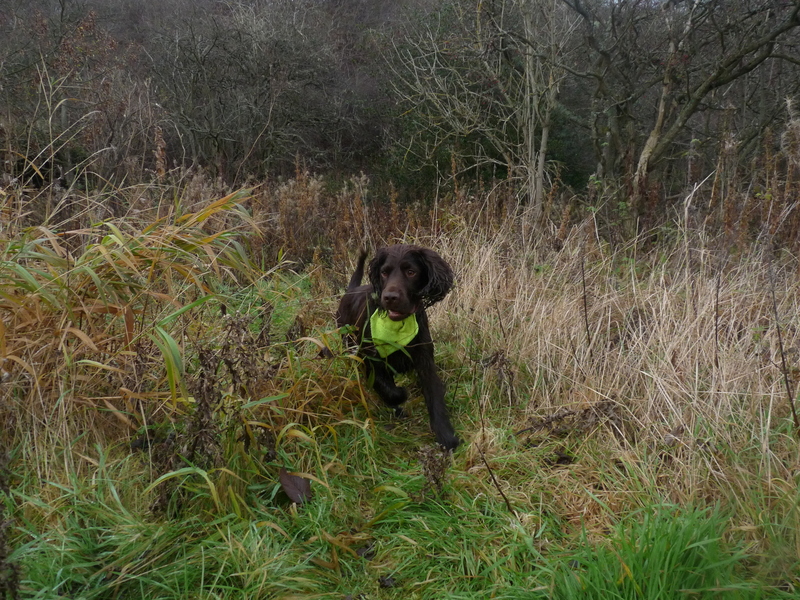 Judging from Archie’s hyper barks he was pretty close to getting one in amongst the gorse bushes. 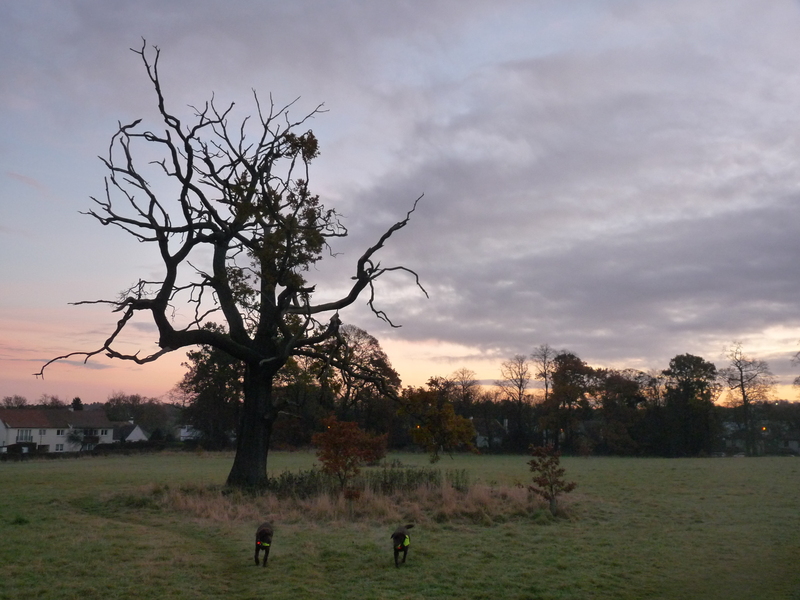 Finally my own two furry babies Gus and Molly joined myself and Archie and Gena for a stunning sunset walk where we met a beautiful ENORMOUS Great Dane who was as sweet as pie. 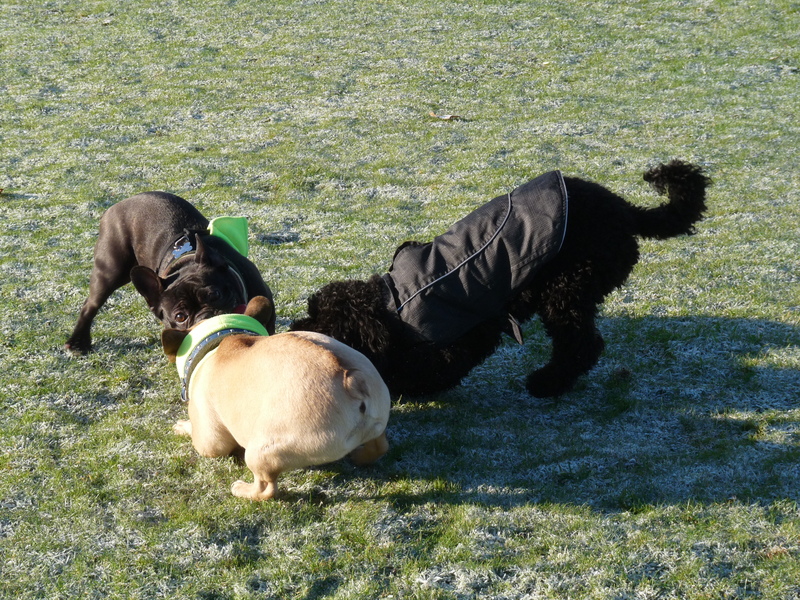 Such a gentle giant, though Gus couldn’t help but find her slightly intimidating! 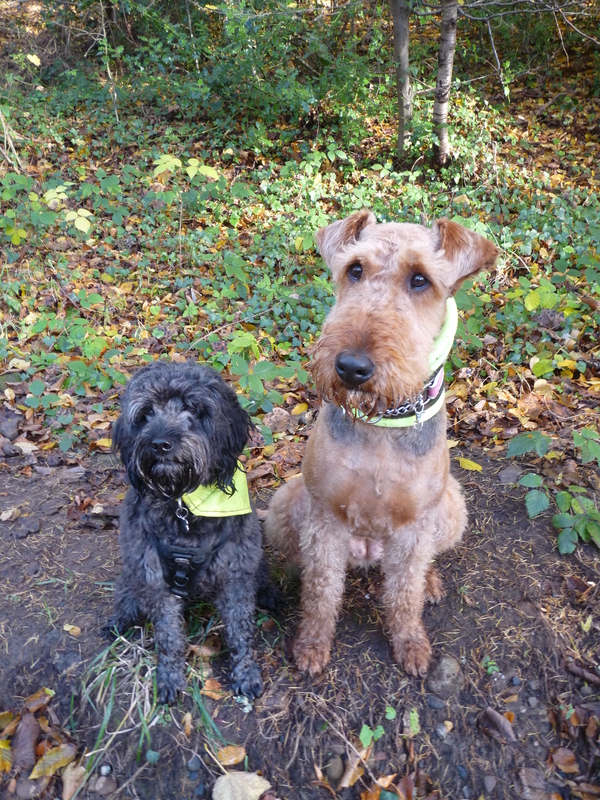 He was quickly comforted though and once reassured sat right alongside her for a treat. 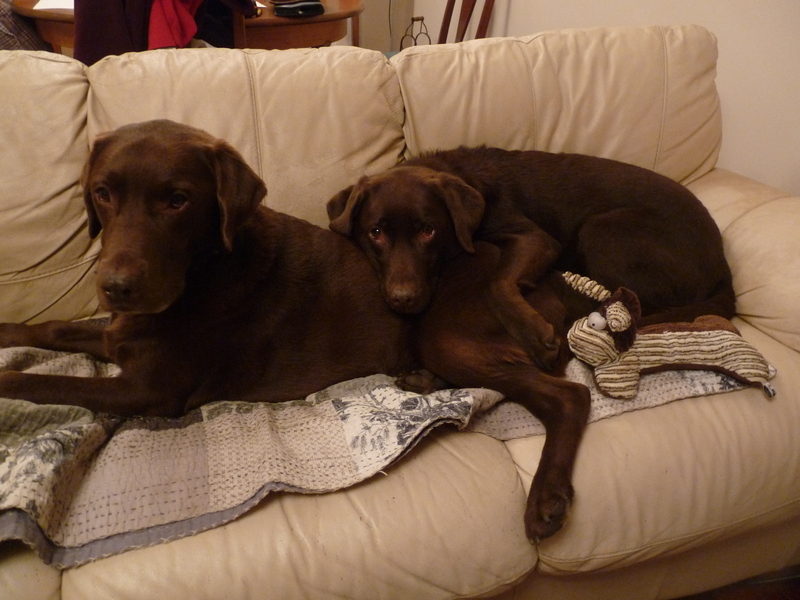 Forgive me folks for the lack of comentary today, I’m shattered! 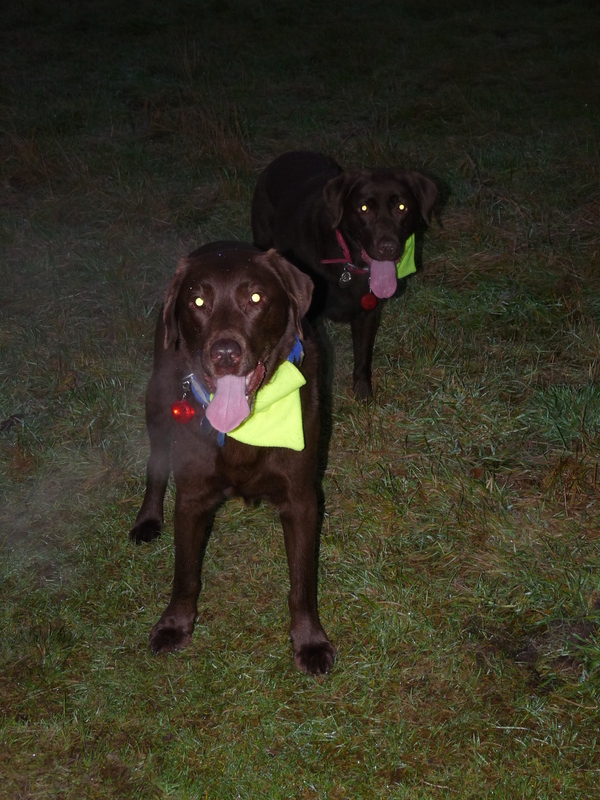 Having a very early night tonight 😉 We all had very nice walks today, though it would be nice if the frost could come back as the parks are SUPER muddy without it! 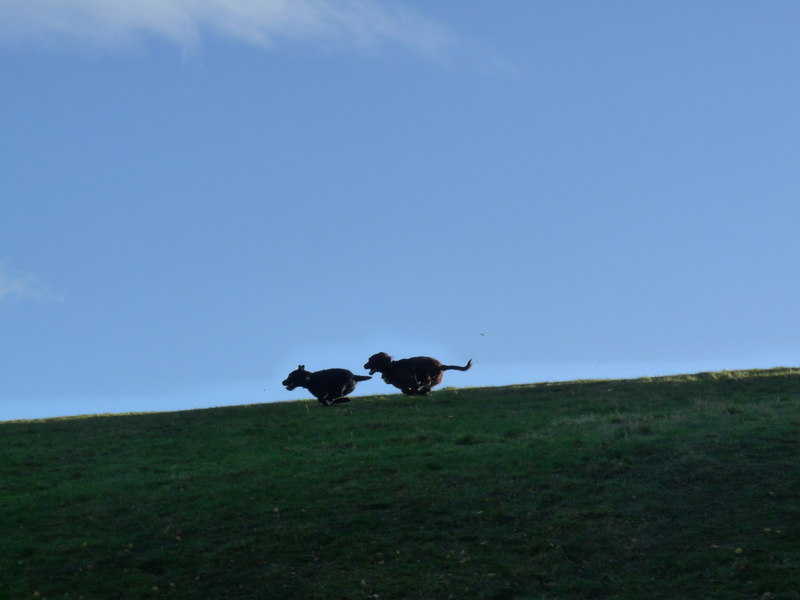 This will be a rather mega photo-fest! 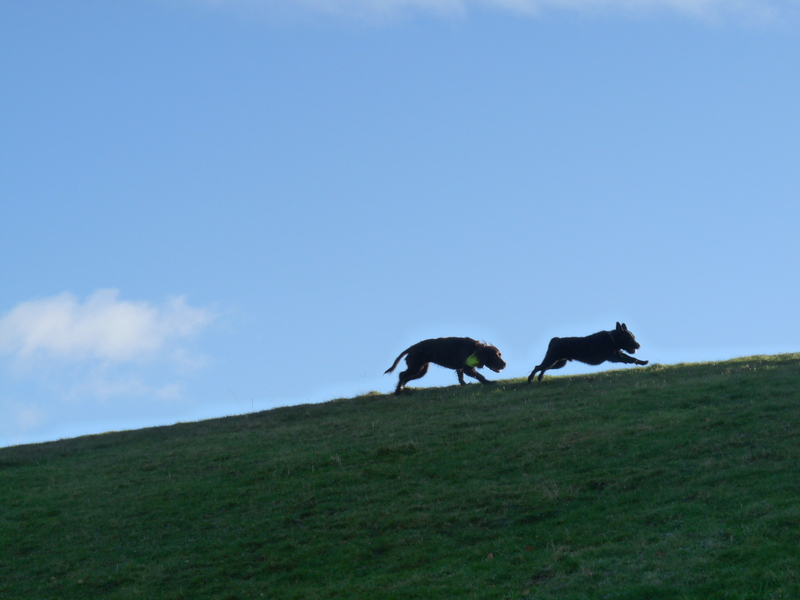 I have quite a bit to catch up on as I didn’t have a chance to post last Friday due to John and I driving out to our friends wedding, which was beautiful! 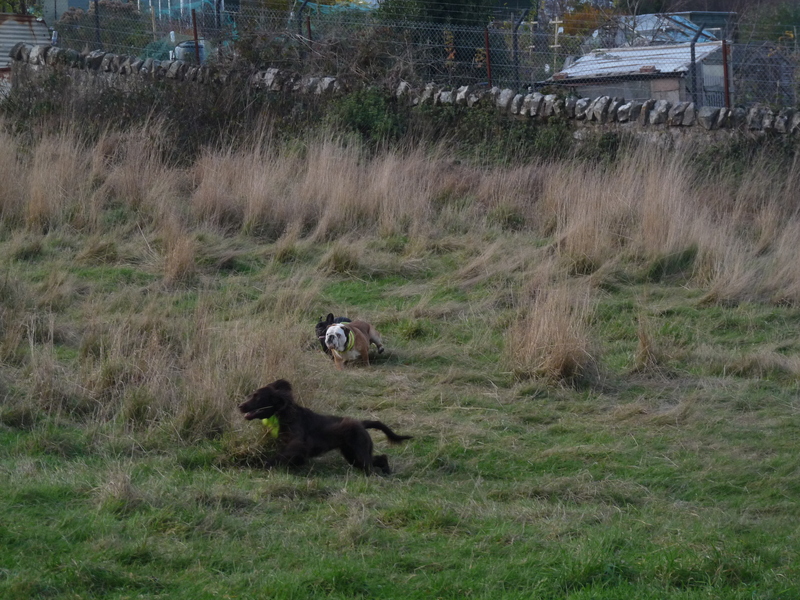 Here is the last three/four days worth of doggie antics, enjoy!! 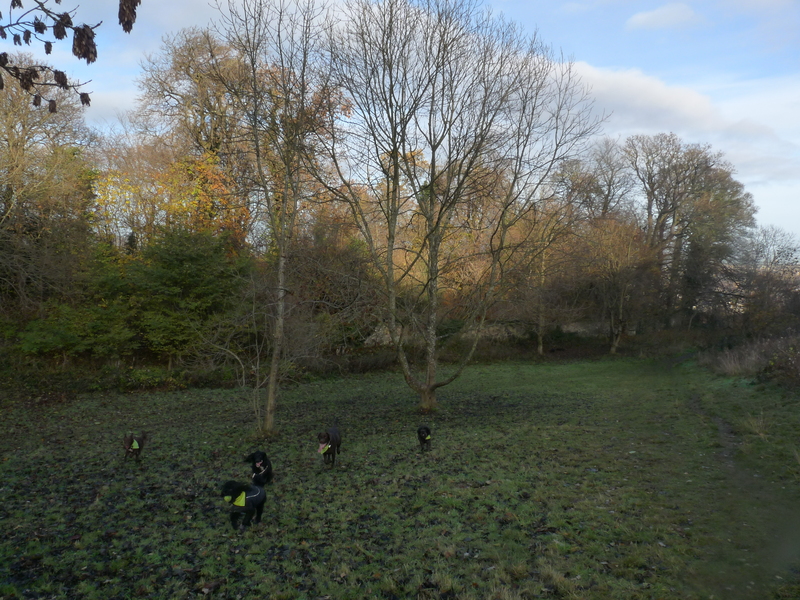 Olly chasing his pals through the wintery woodland….Winter officially arrived on Thursday when we woke up to minus 3 temperatures! 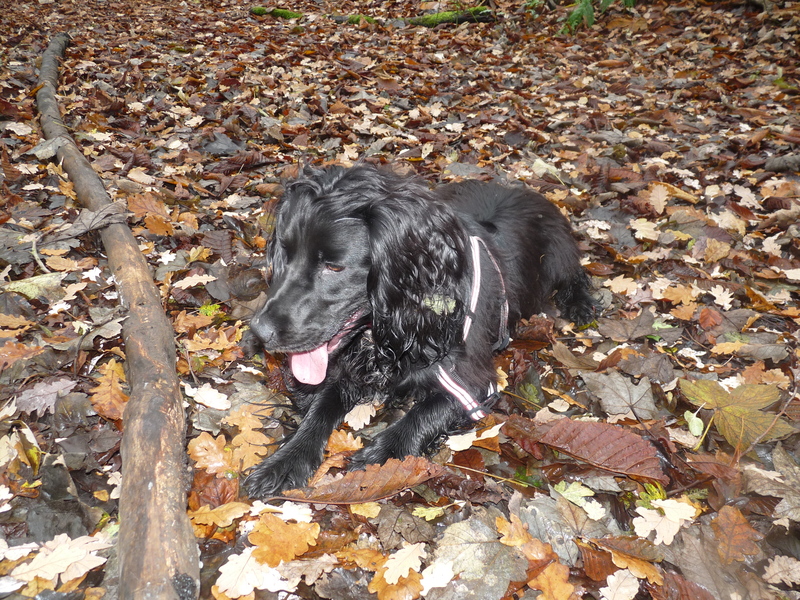 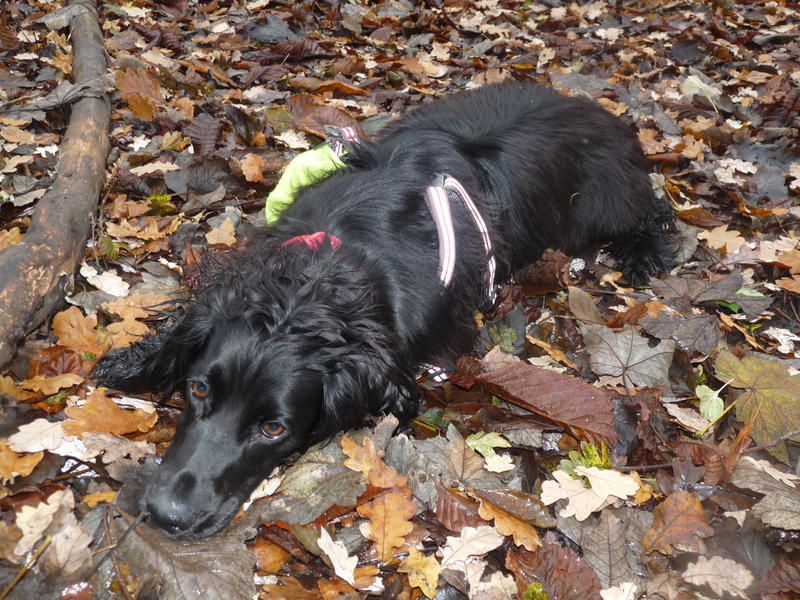 Ella has found her ideal stick! 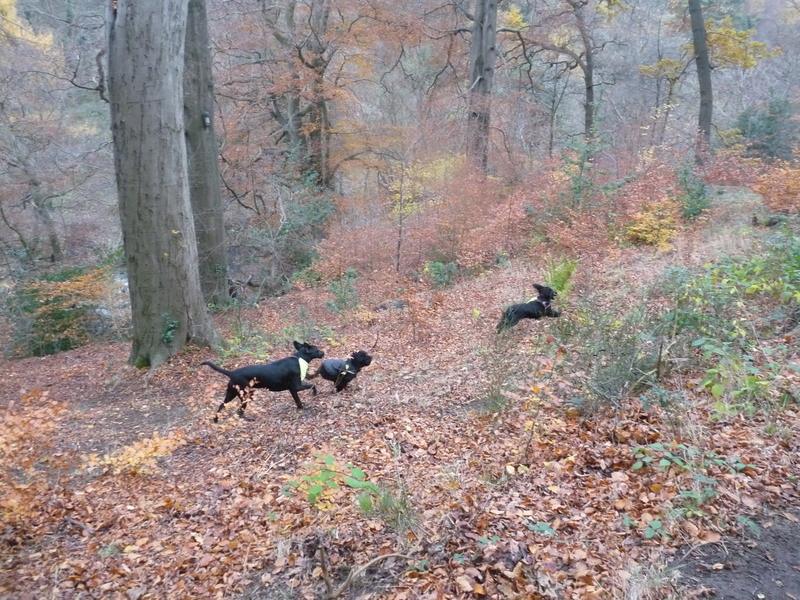 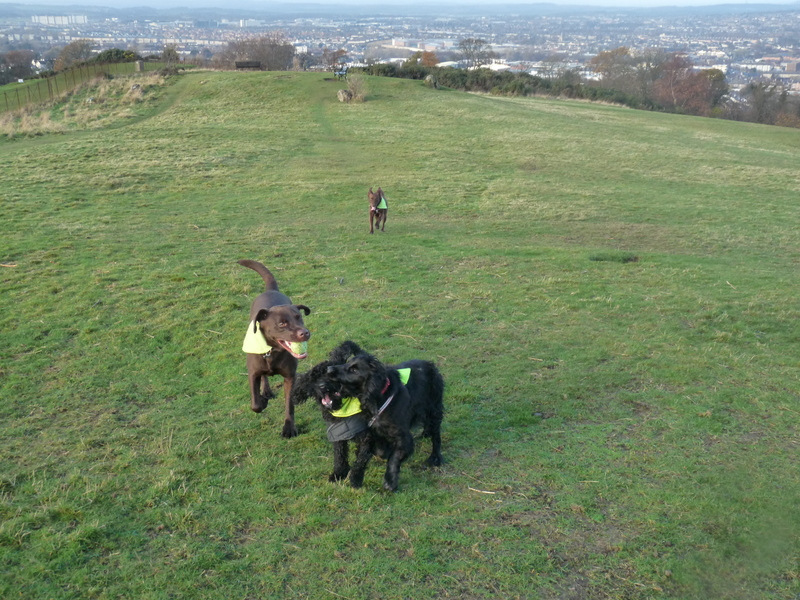 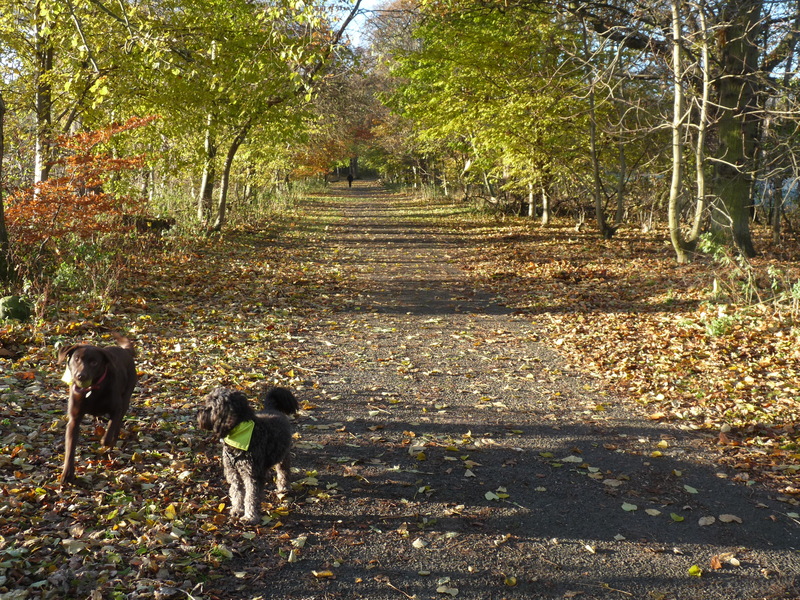 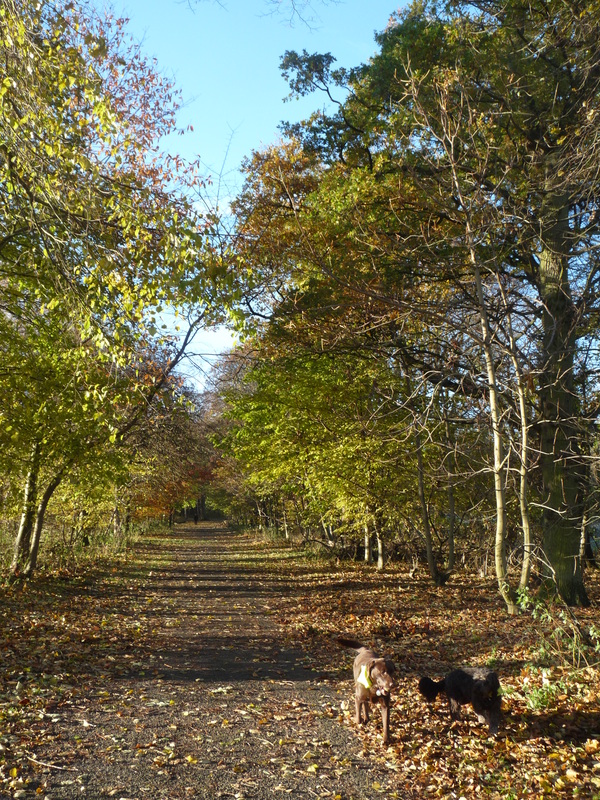 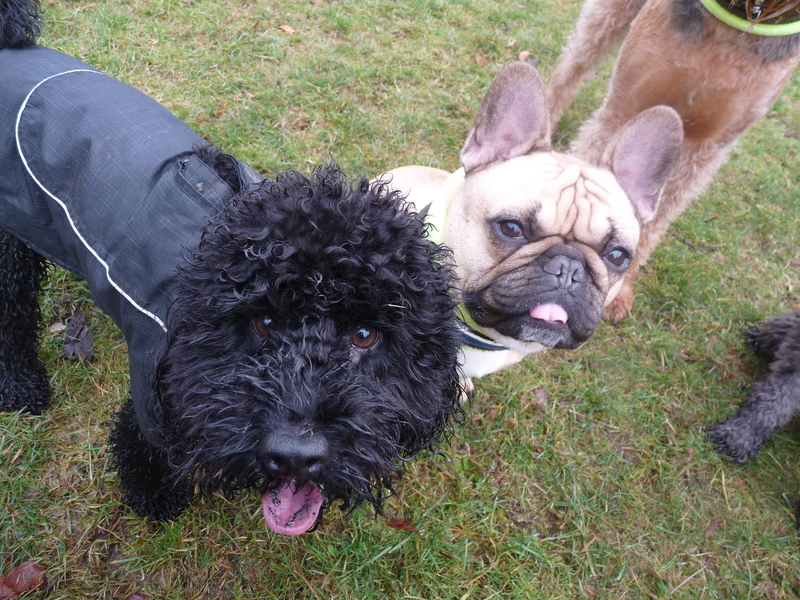 Maud and Kobi chasing Archie! 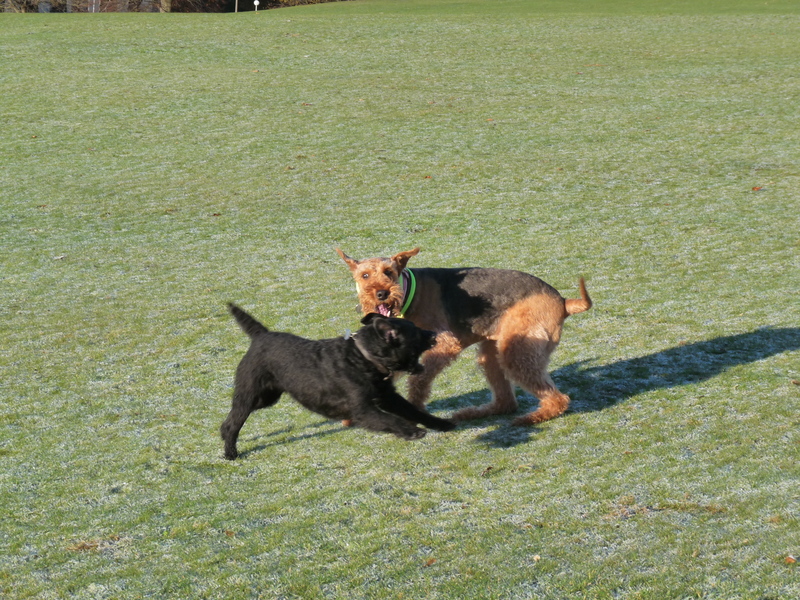 Winston and Maud, evenly matched! 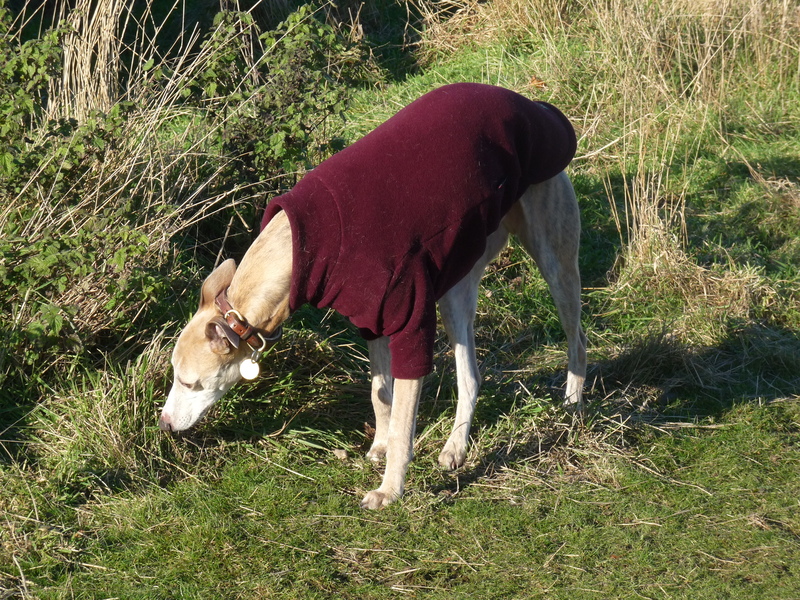 Lenny staying cozy in his snazzy Equafleece…. 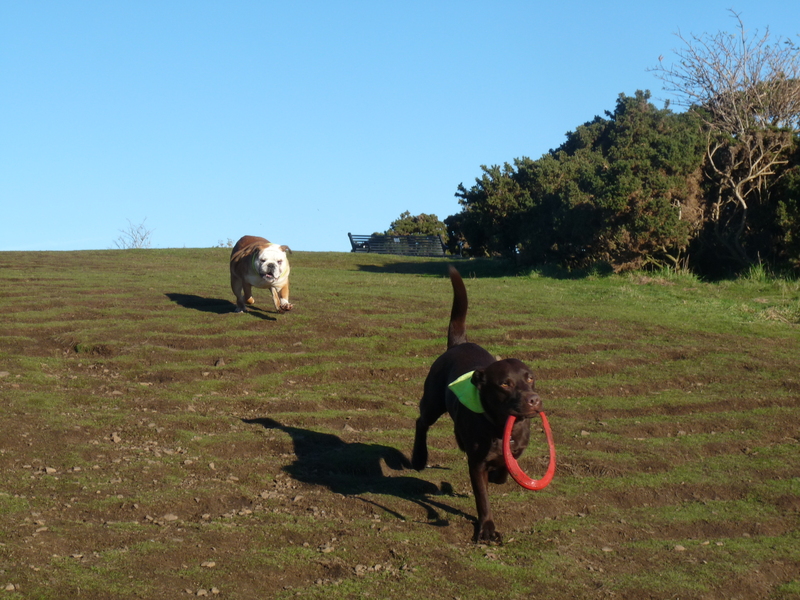 Run Winston, she’s gaining on you! 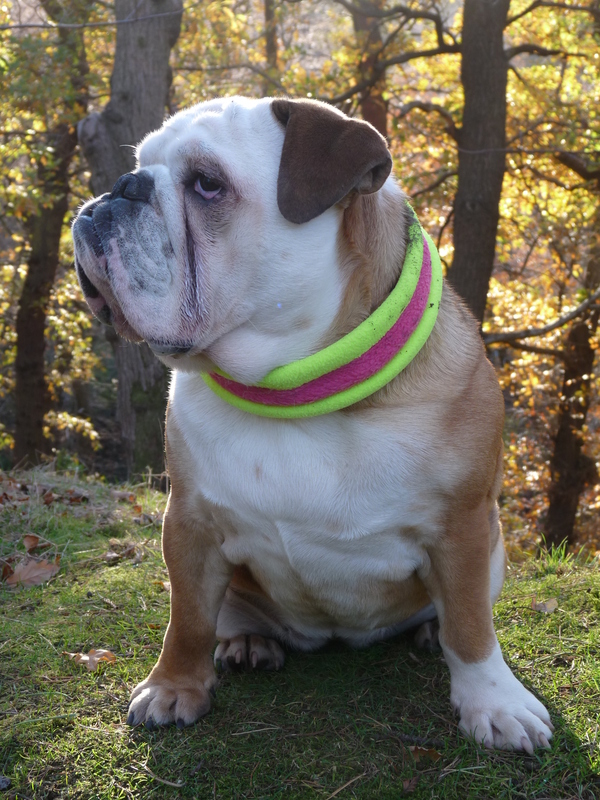 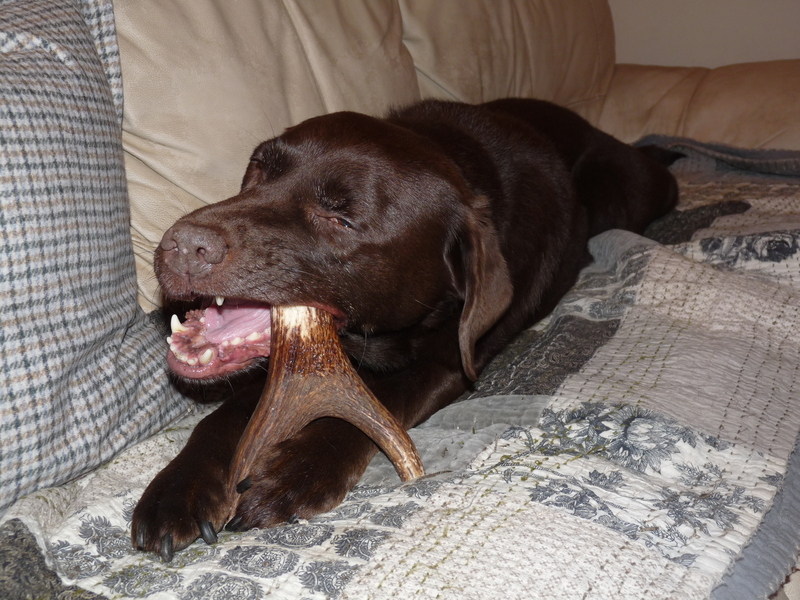 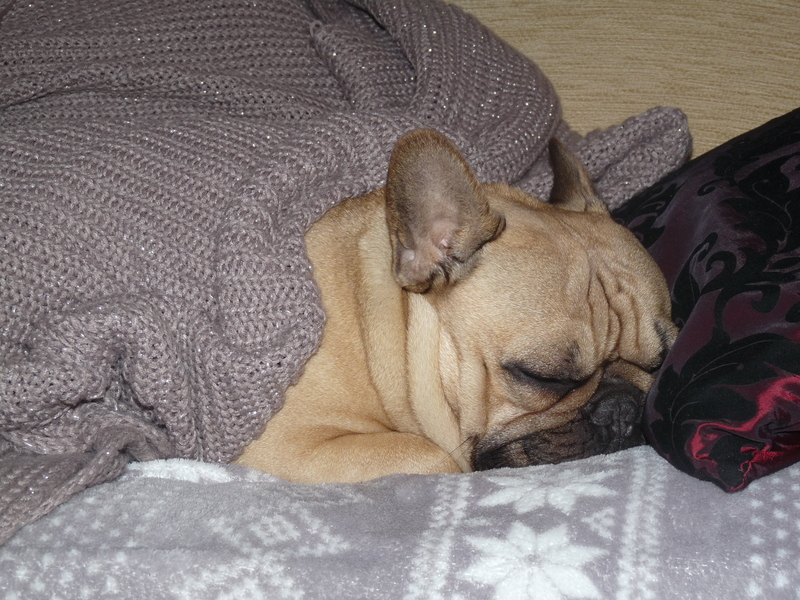 Gus is not a fan of the Winter weather…. 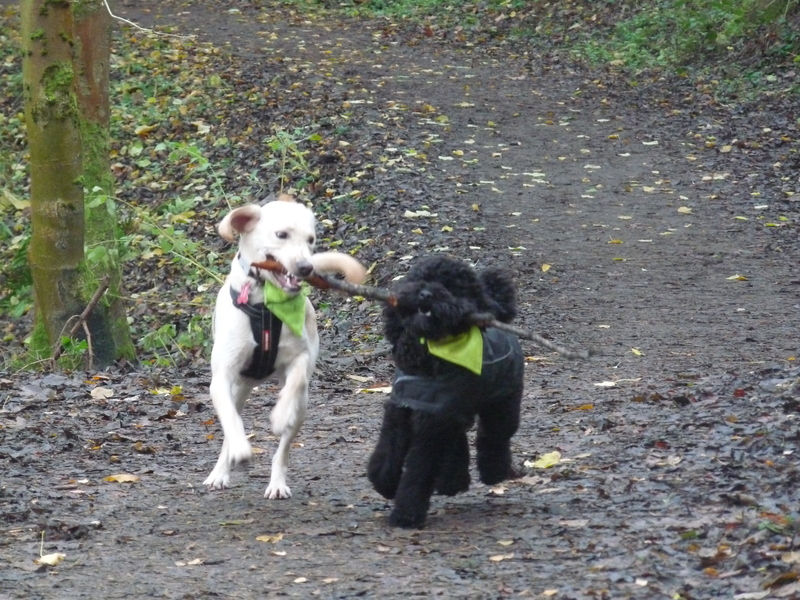 Molly and Smudge were instant friends! 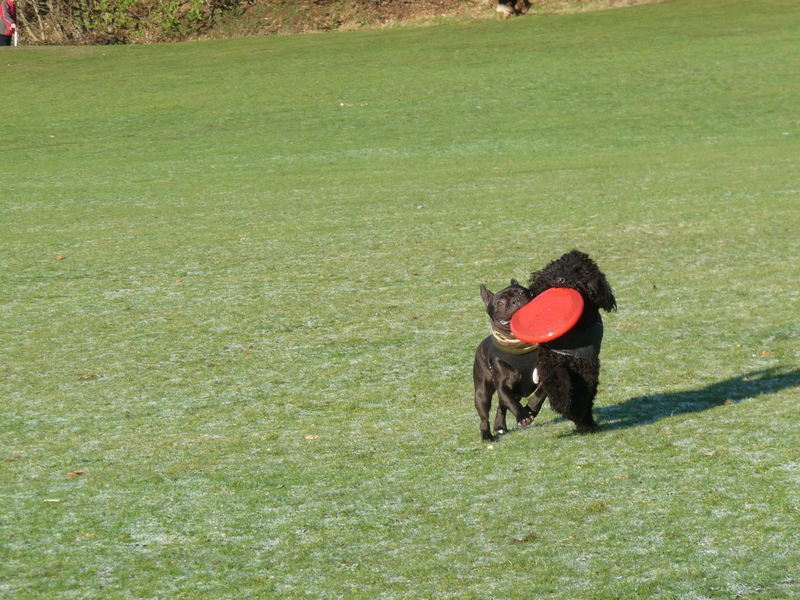 Epic frisbee battle!! 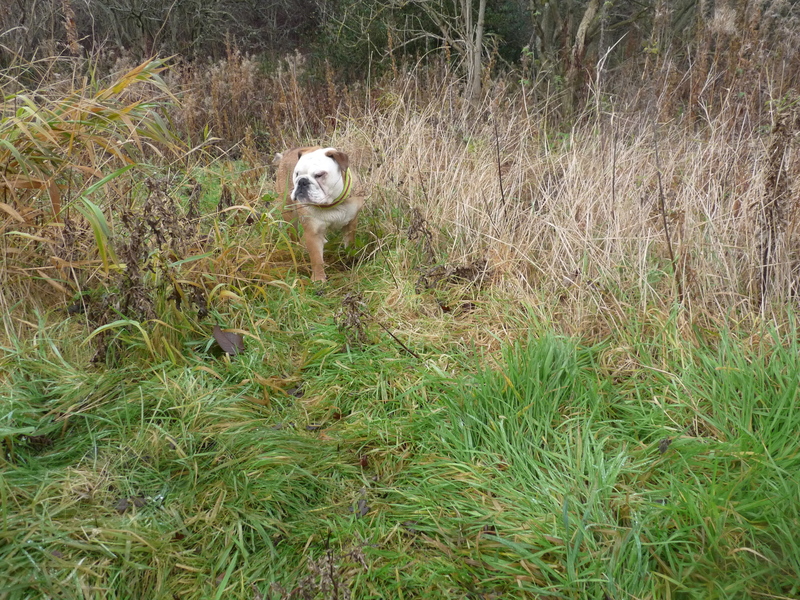 Even Gus was in on the game! 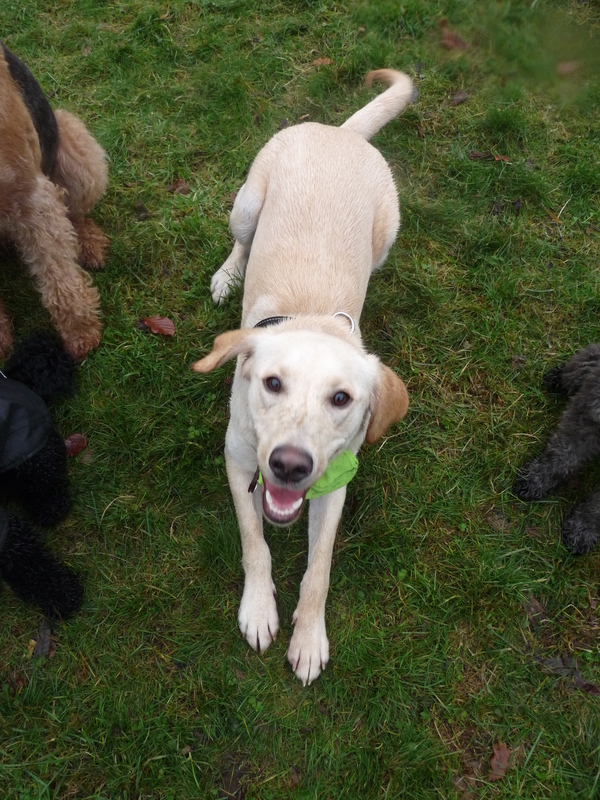 Molly trying her hardest to stay still for a photo!! 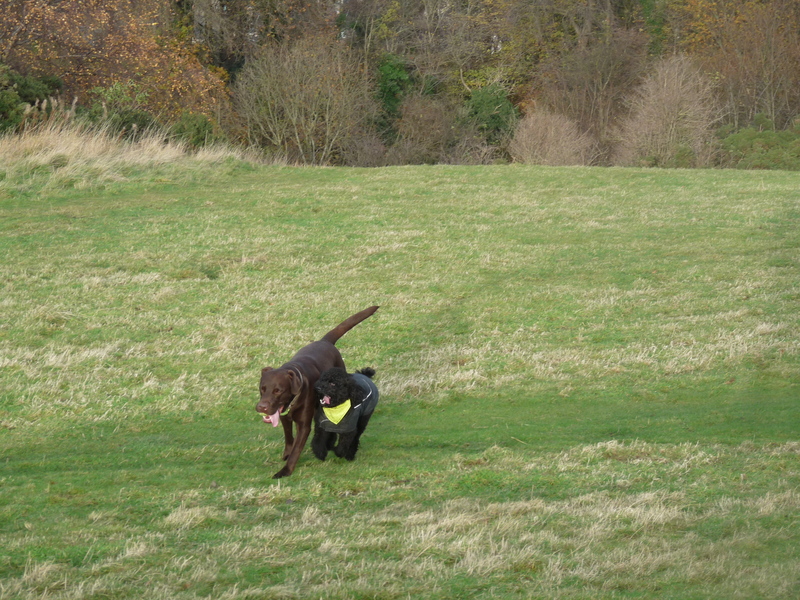 It’s so hard when you are a wriggly pup!! 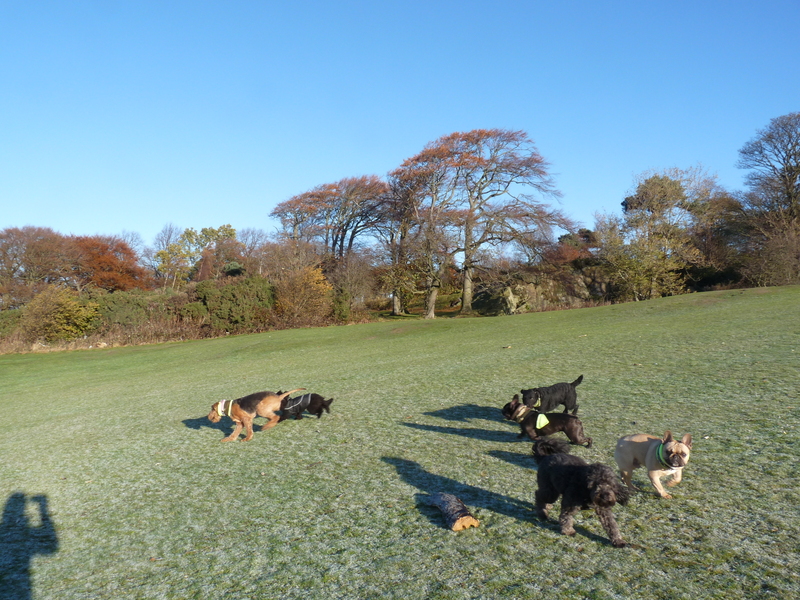 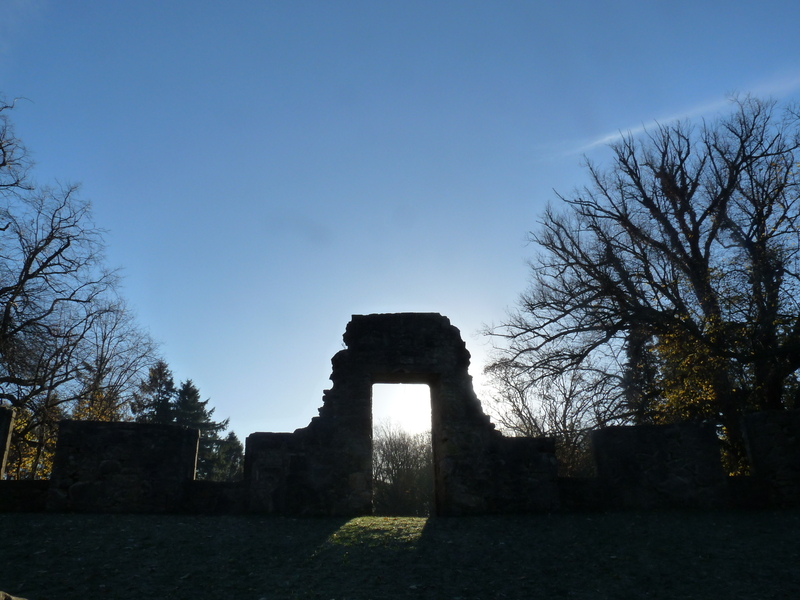 It was a very frosty morning yesterday, first morning that I had to scrape the ice off my car window! 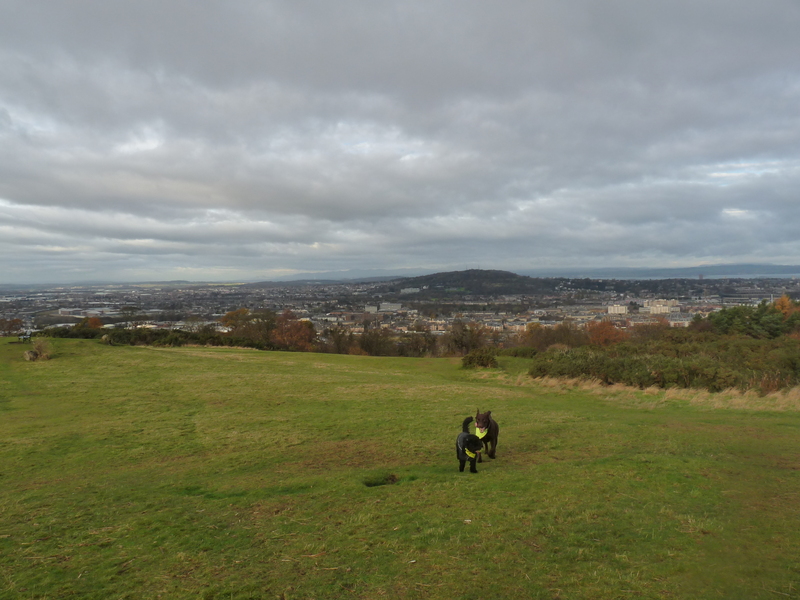 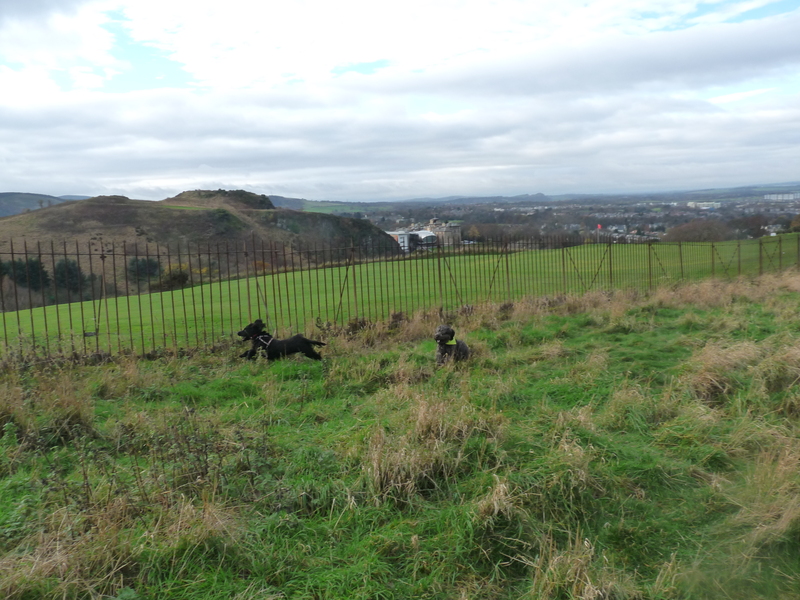 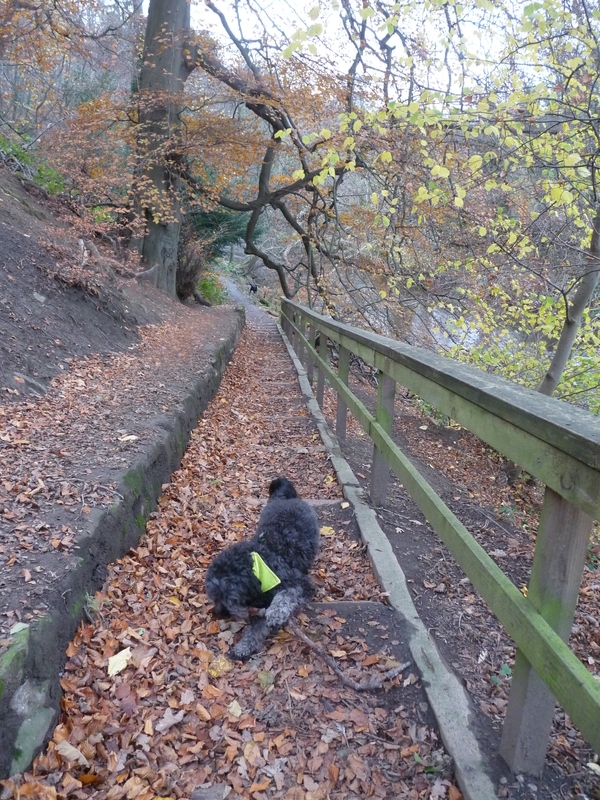 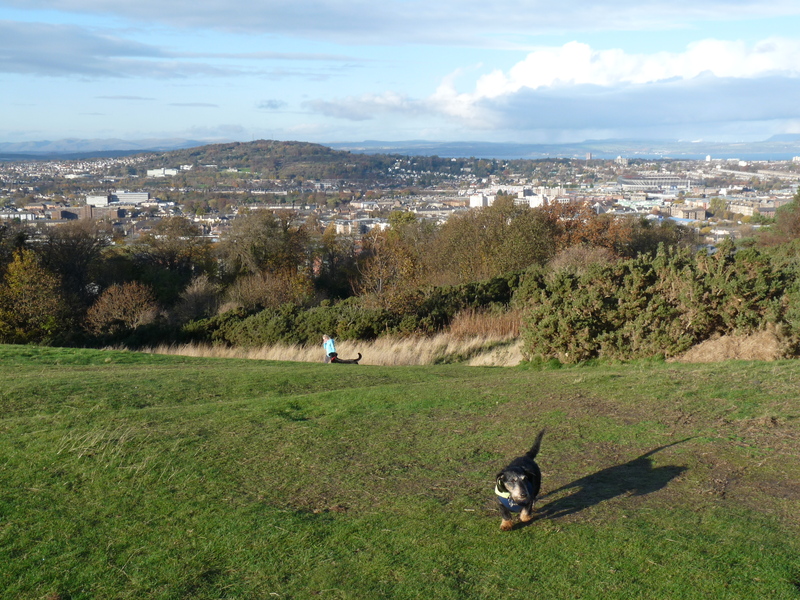 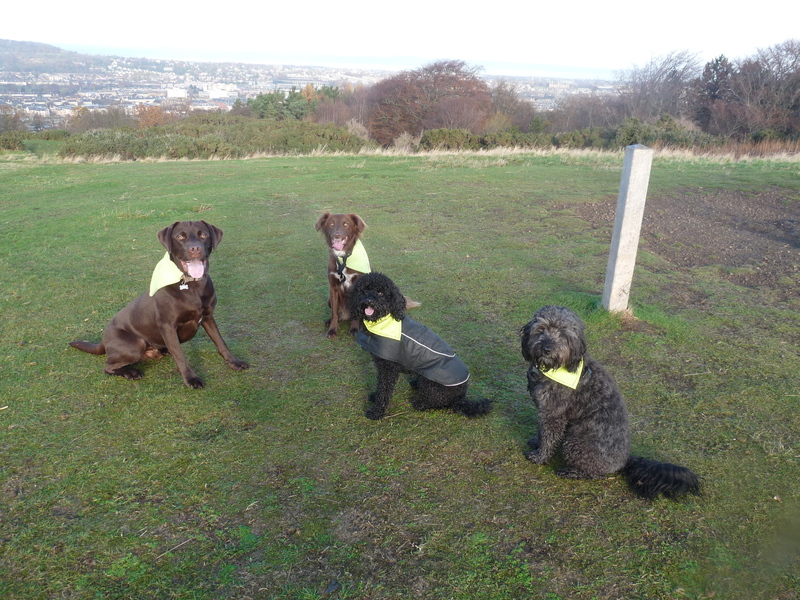 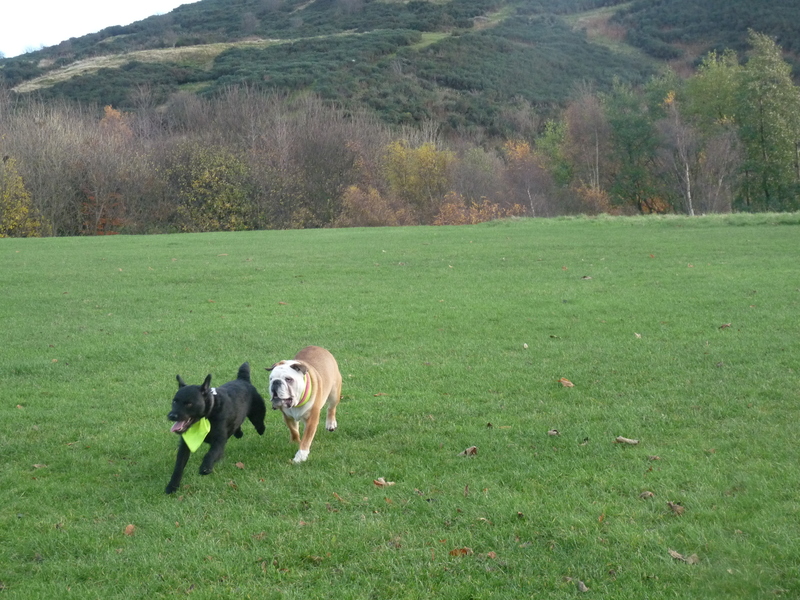 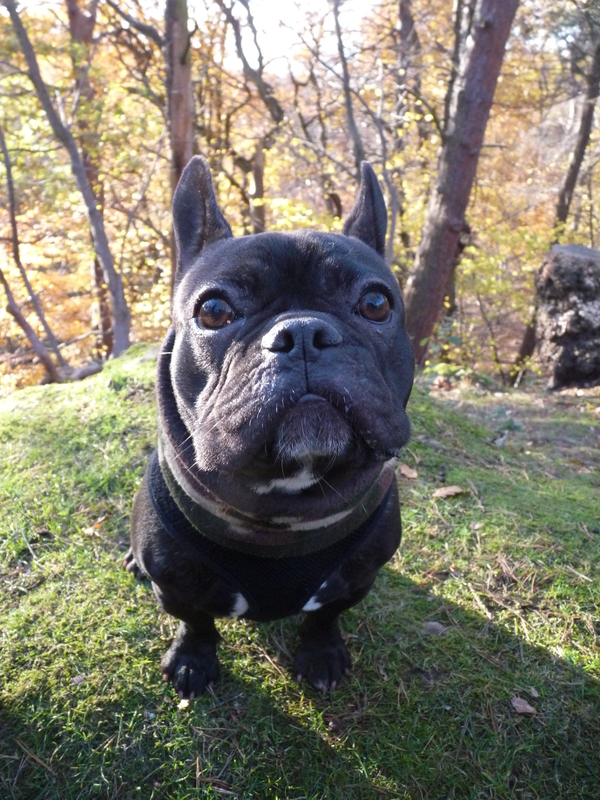 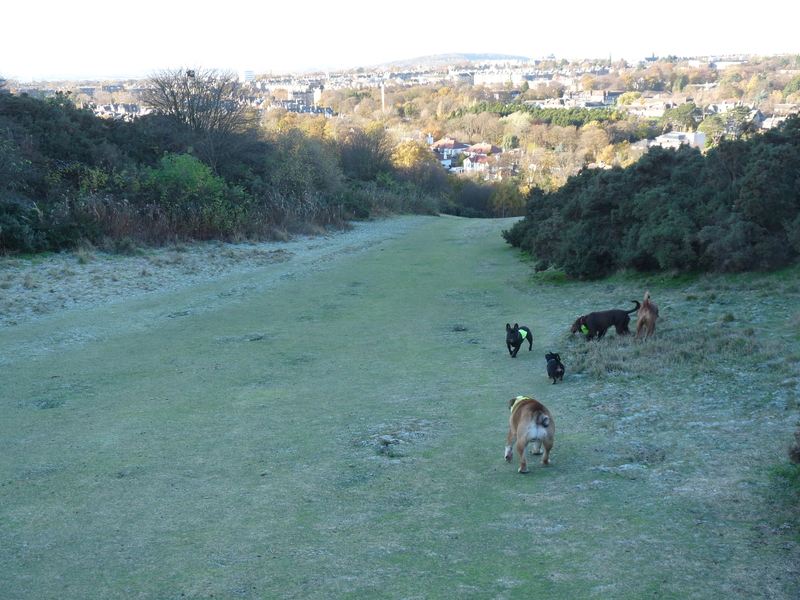 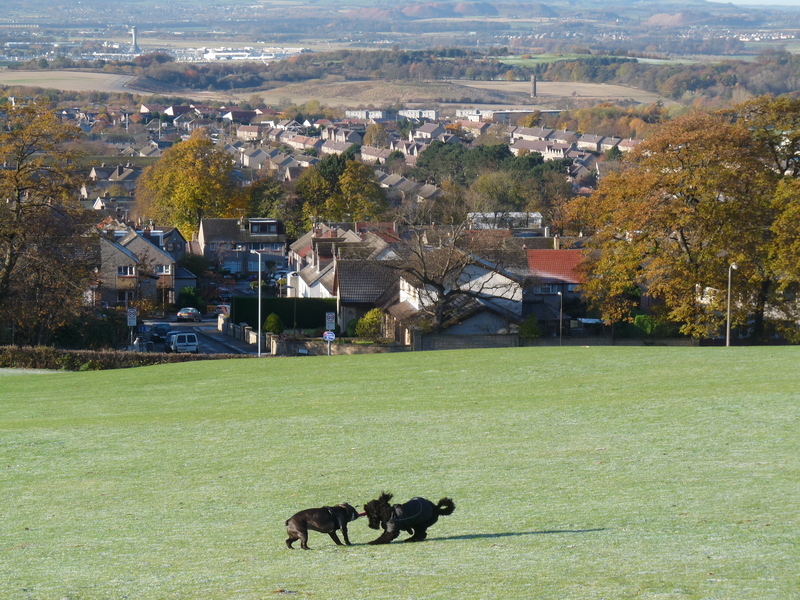 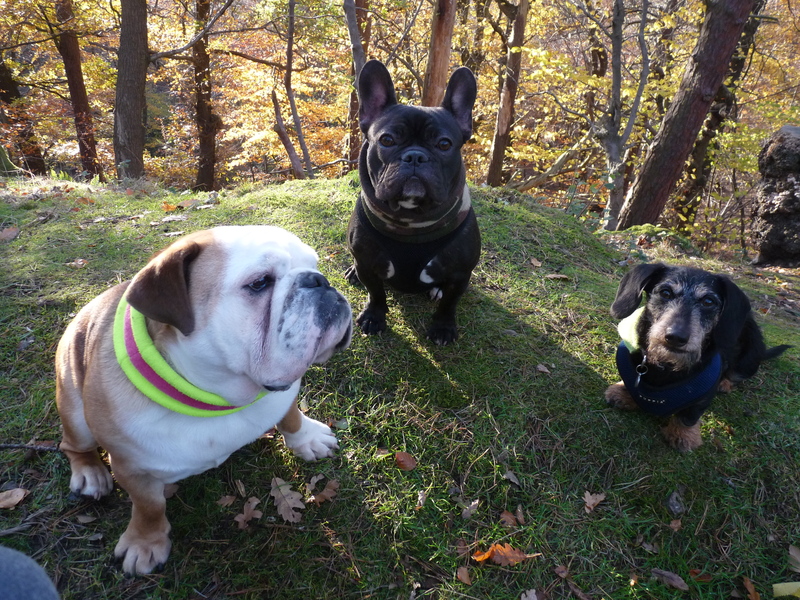 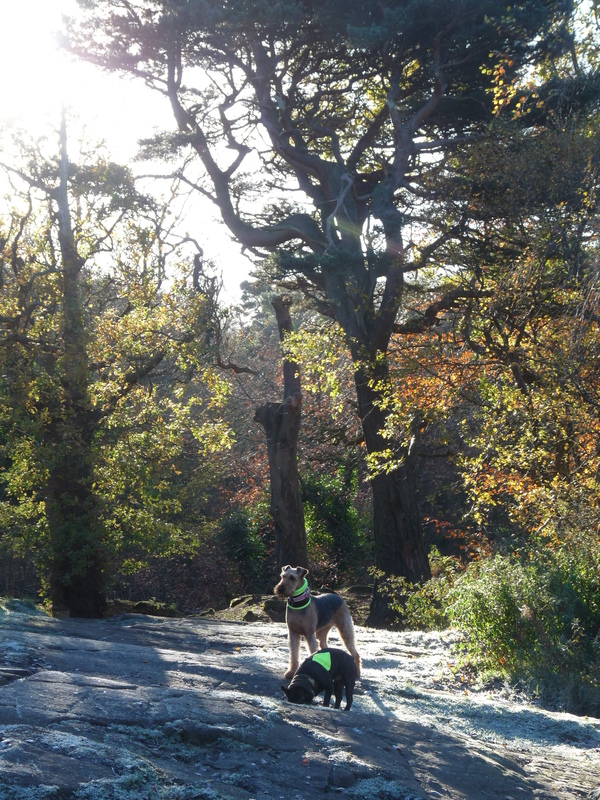 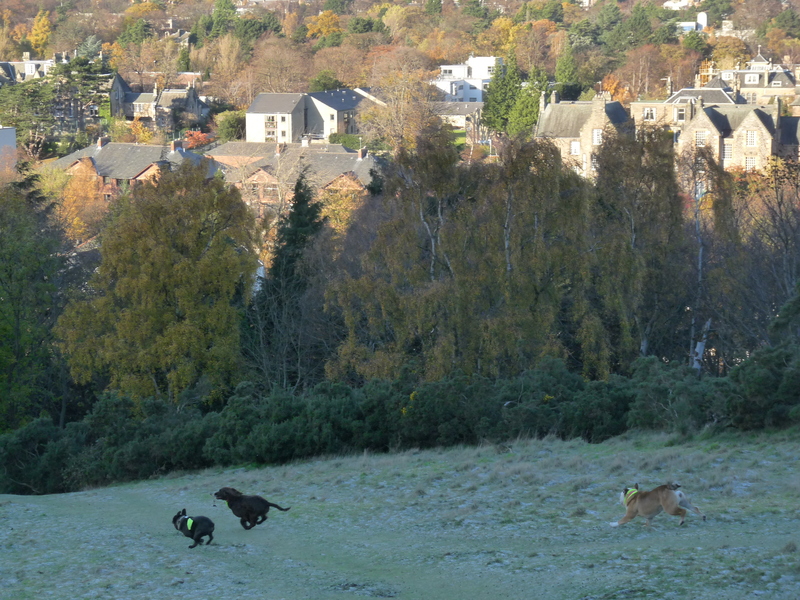 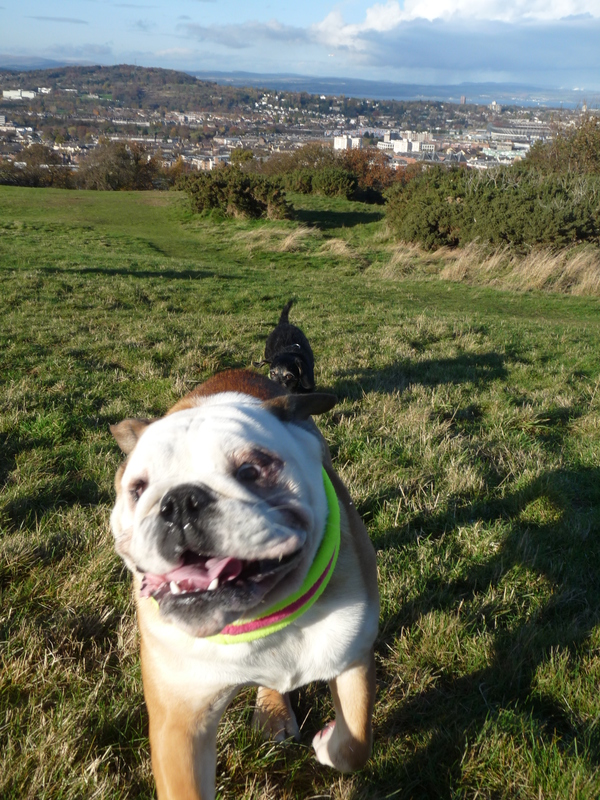 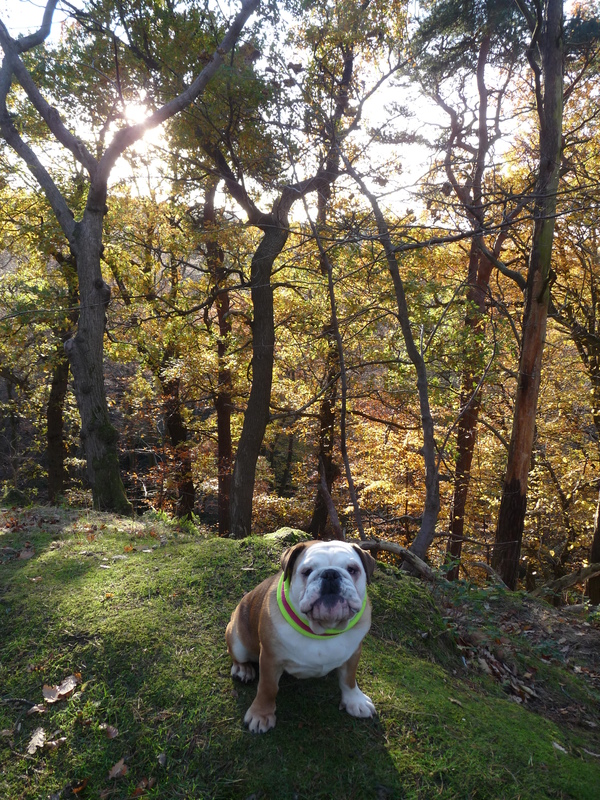 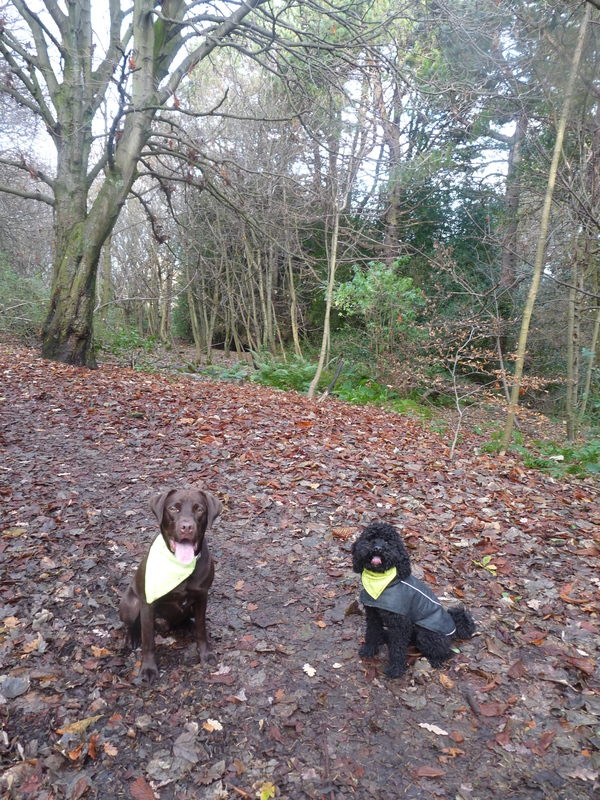 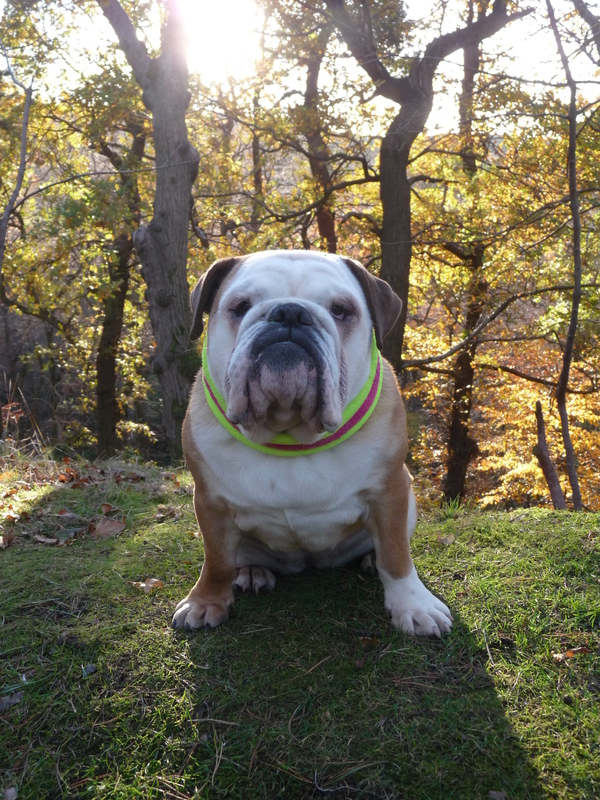 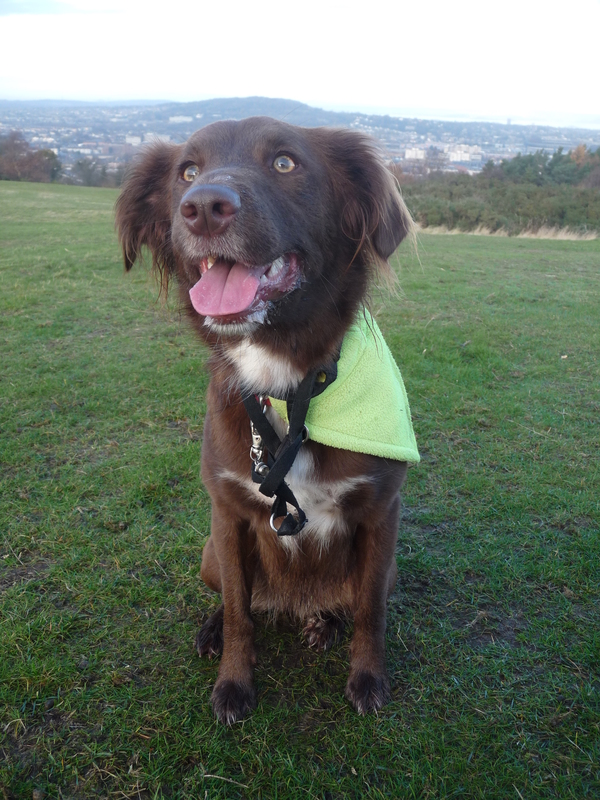 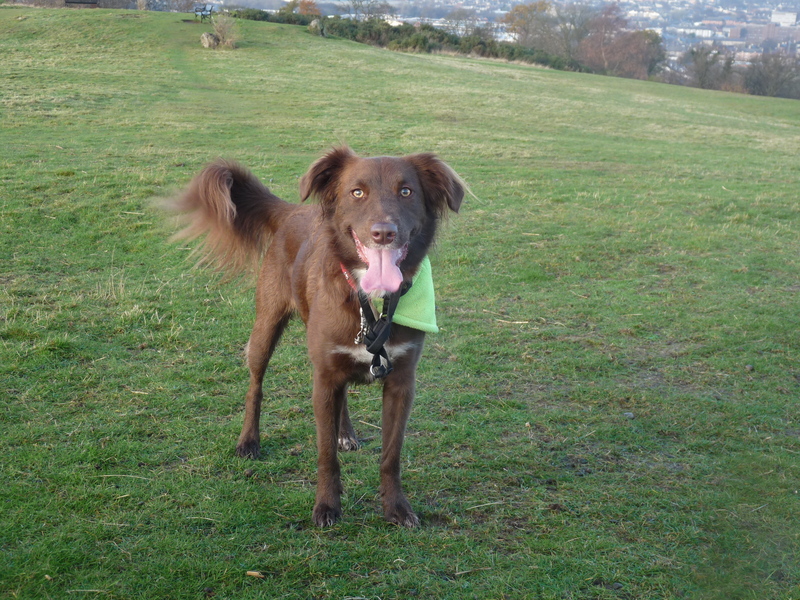 Up on Corstorphine Hill the dog were full of beans! 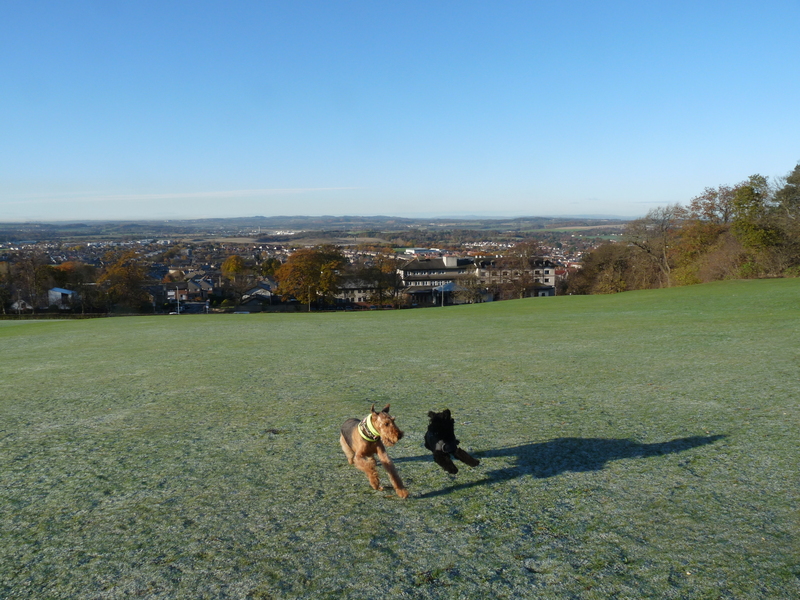 I was wrapped up to the nines, hat and hood combo in this weather is definitely required. 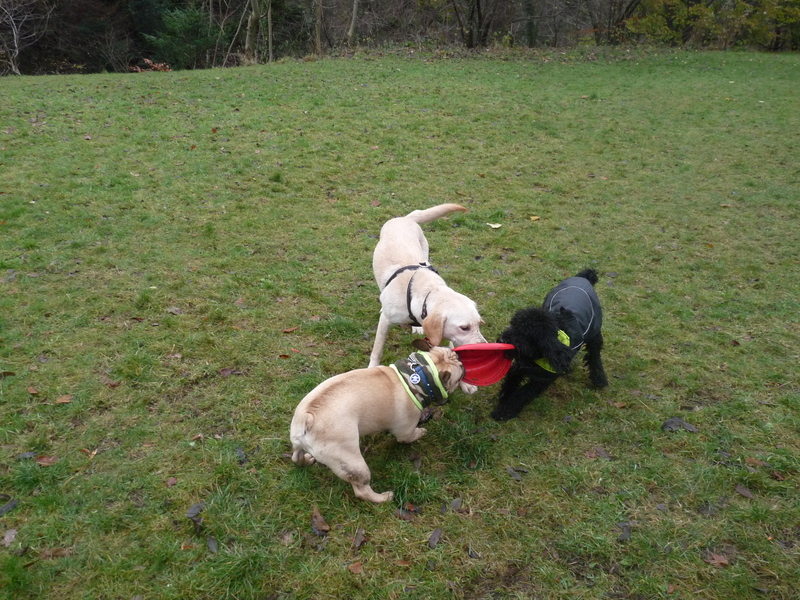 The dogs however are not bothered at all, far too much fun to be had playing chase and tug-o-war with the favourite red frisbee! 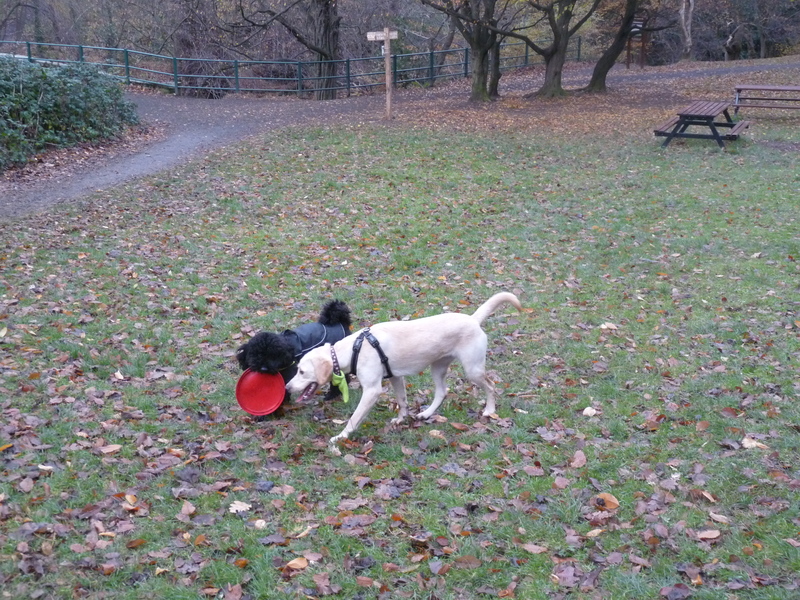 Frisbee war! 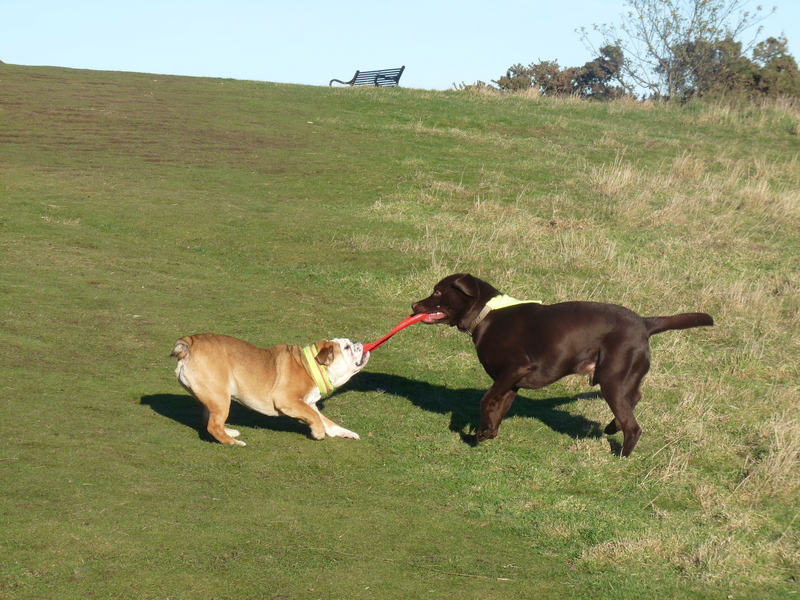 Who will win…. 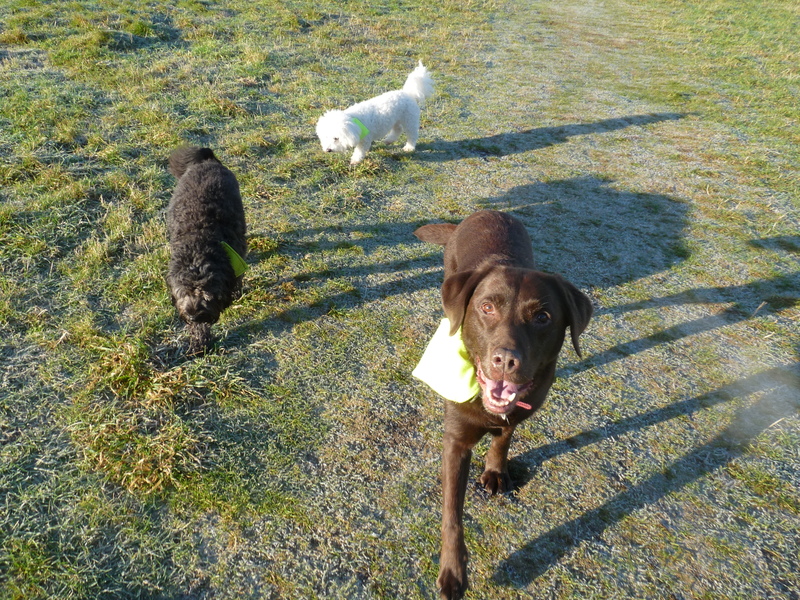 Smudge and Kobi of course! 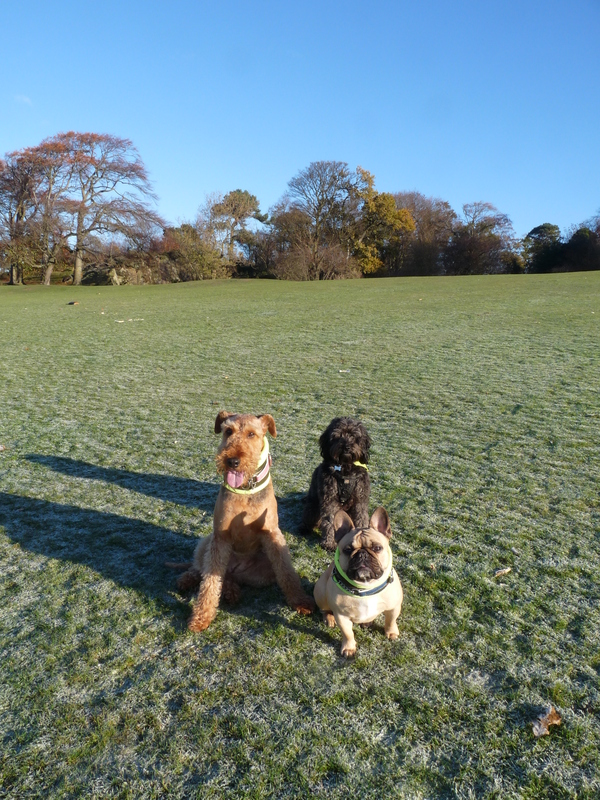 That’s is Maud, work it for the camera! 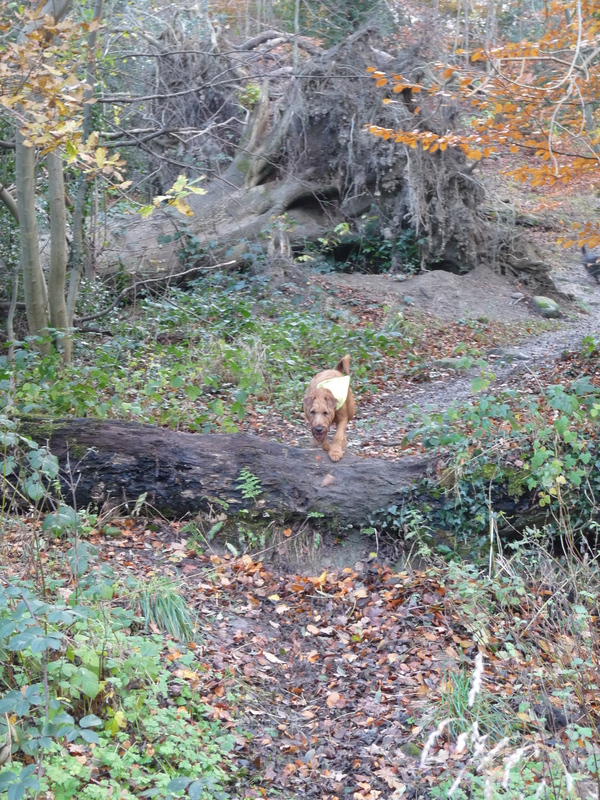 Well that was a little frustrating!! 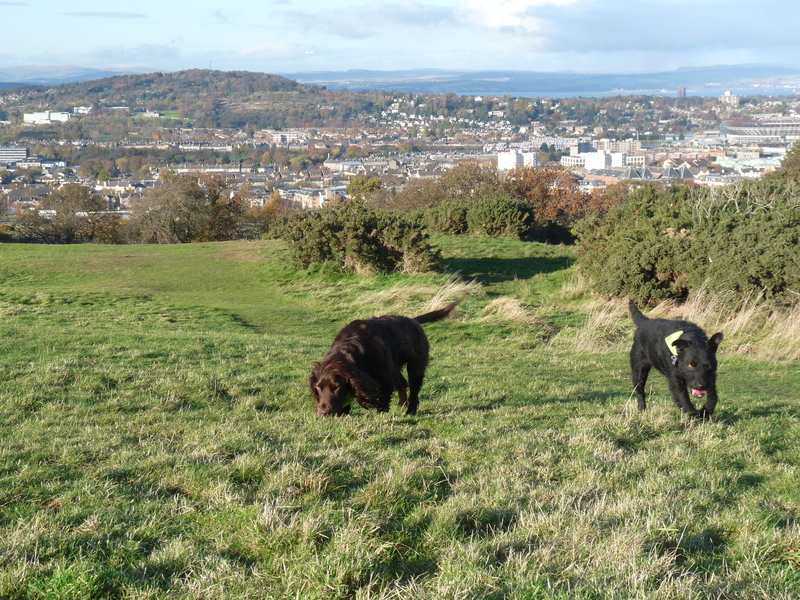 I still haven’t really managed to find out what has been wrong with my blog these last few days but hey presto! 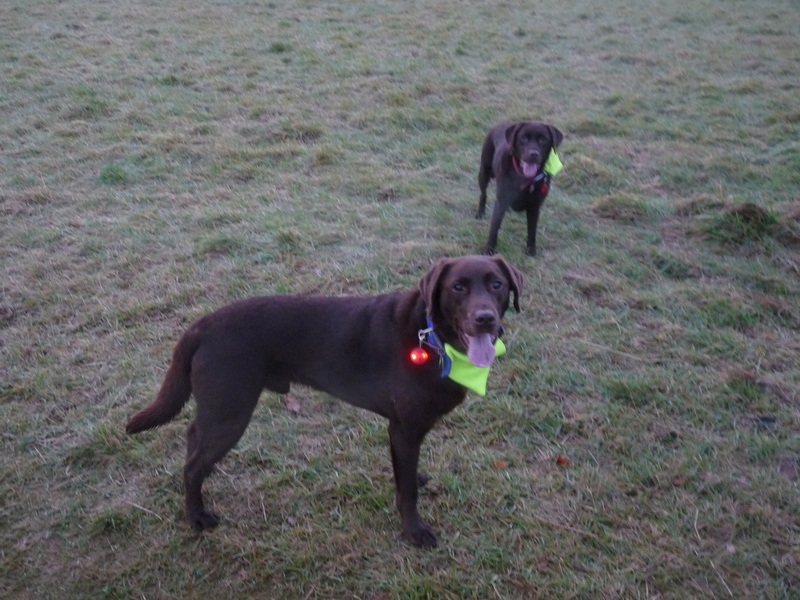 Its working tonight, woopee!! 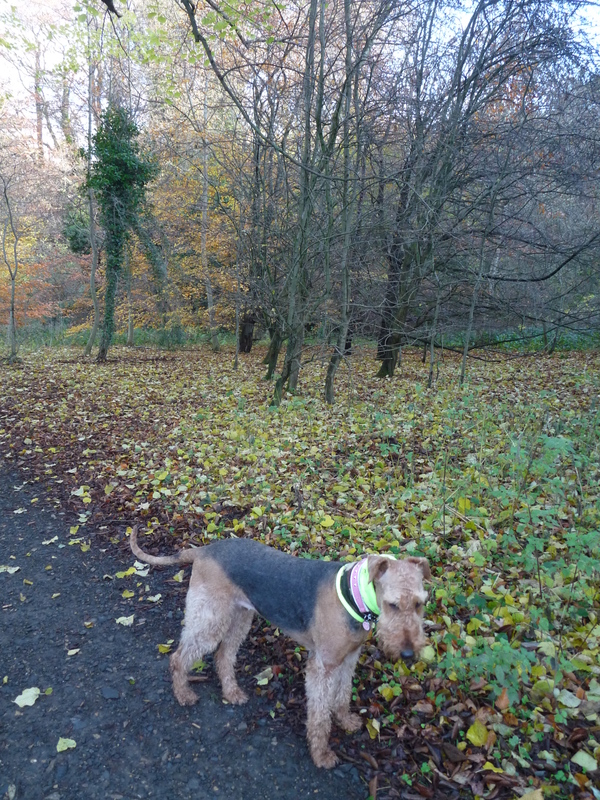 Time to catch up on the last few days 🙂 It has been FREEZING!! 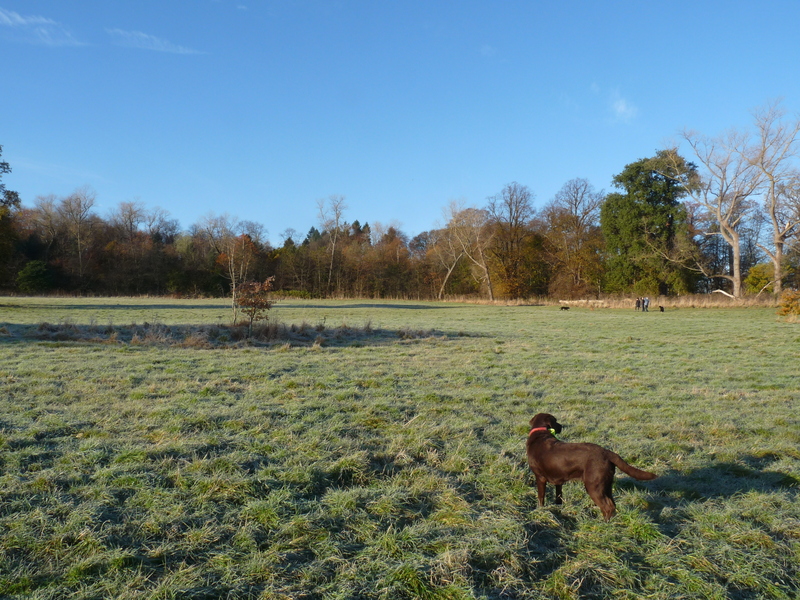 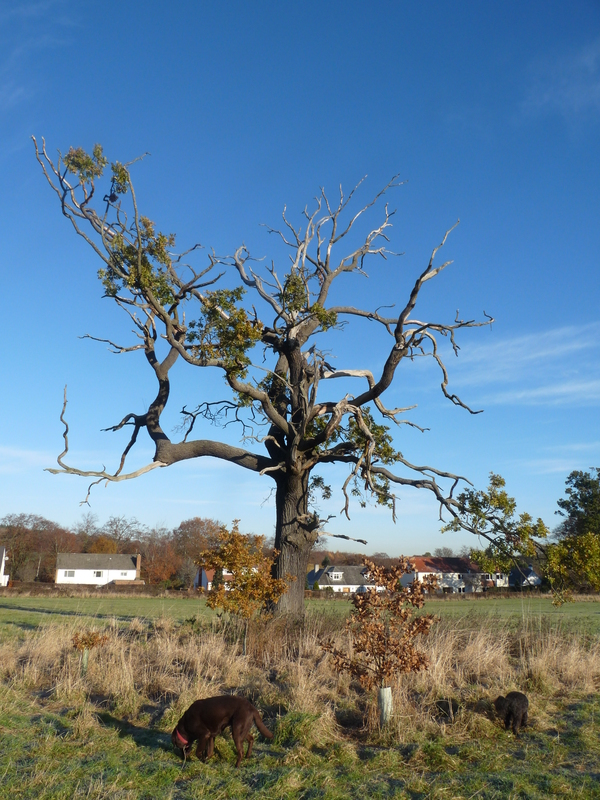 But beautifully clear, dry and sunny. 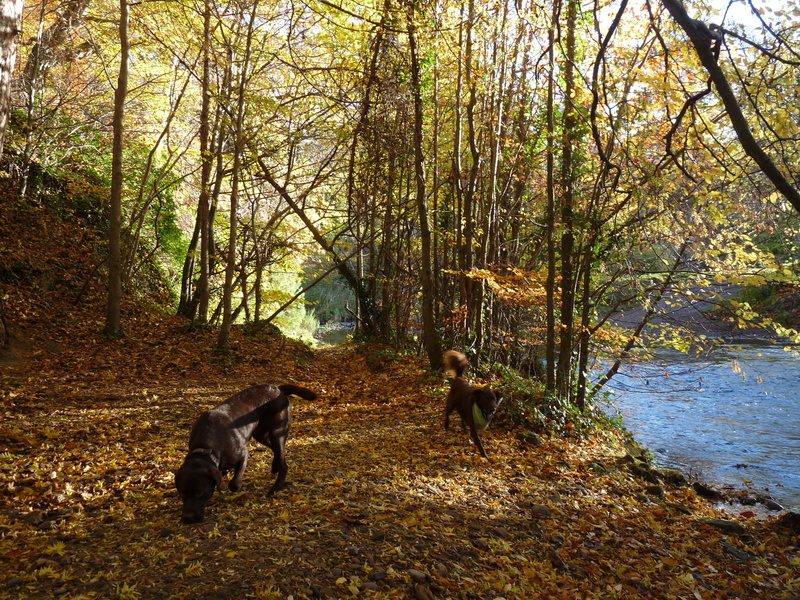 And the colours, oh the colours….. 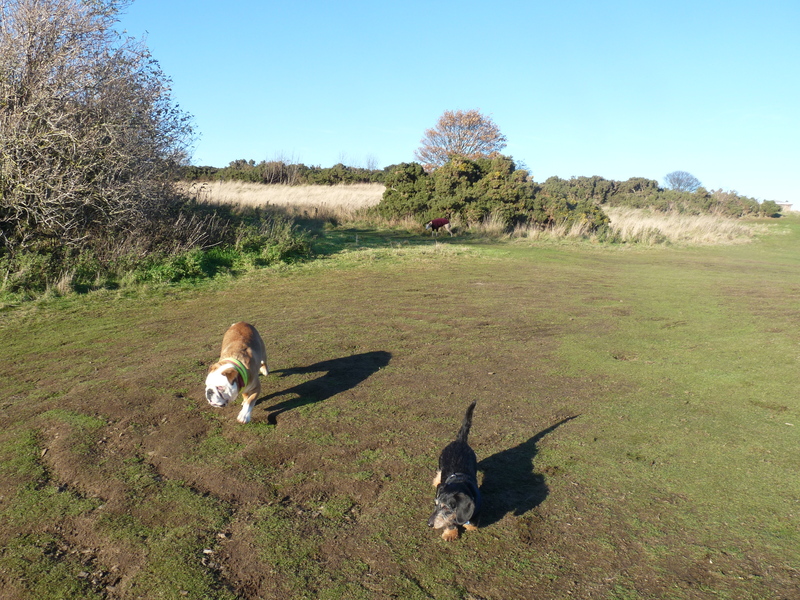 I love Hector’s shadow in this photo! 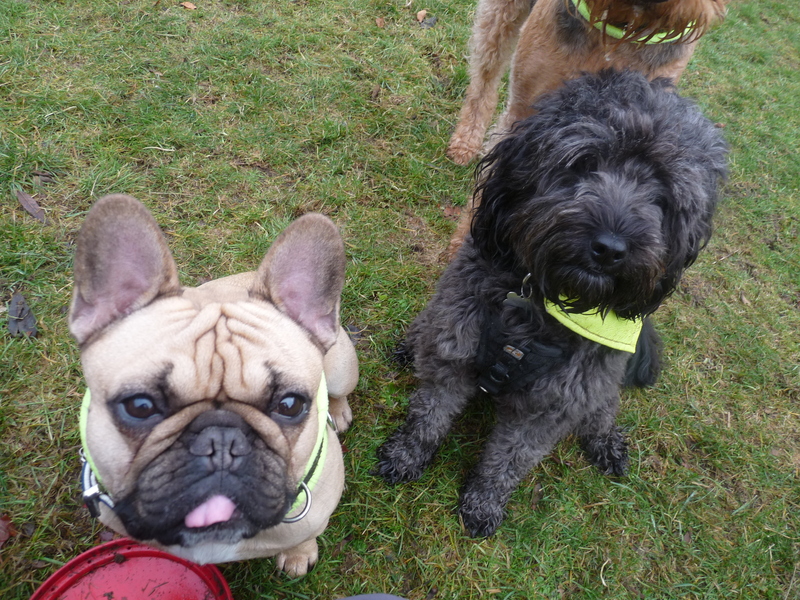 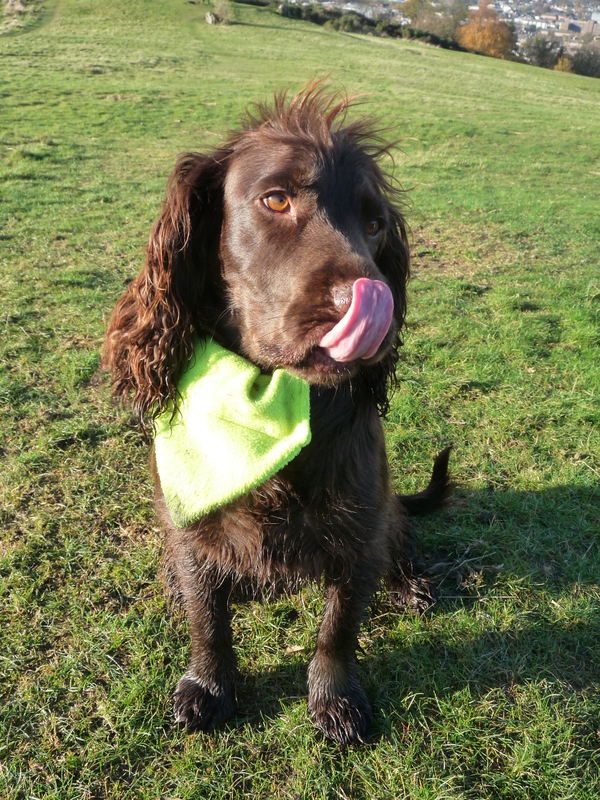 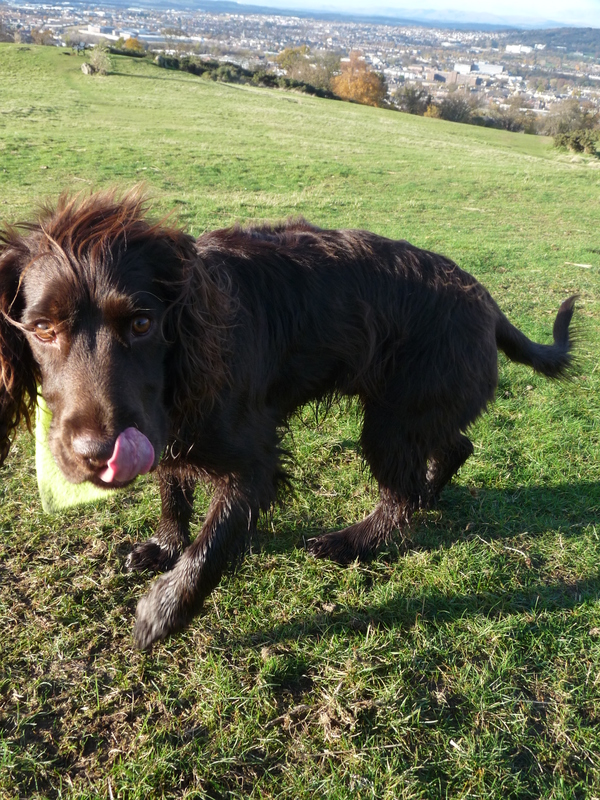 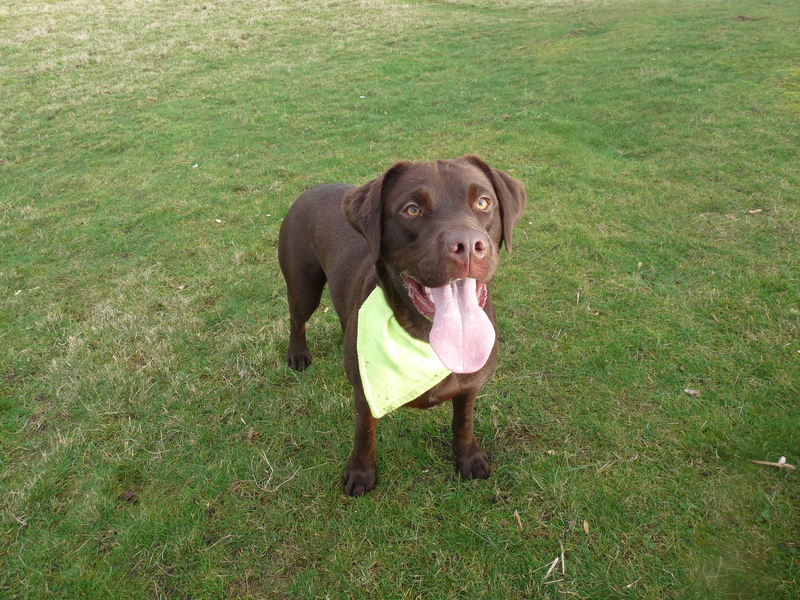 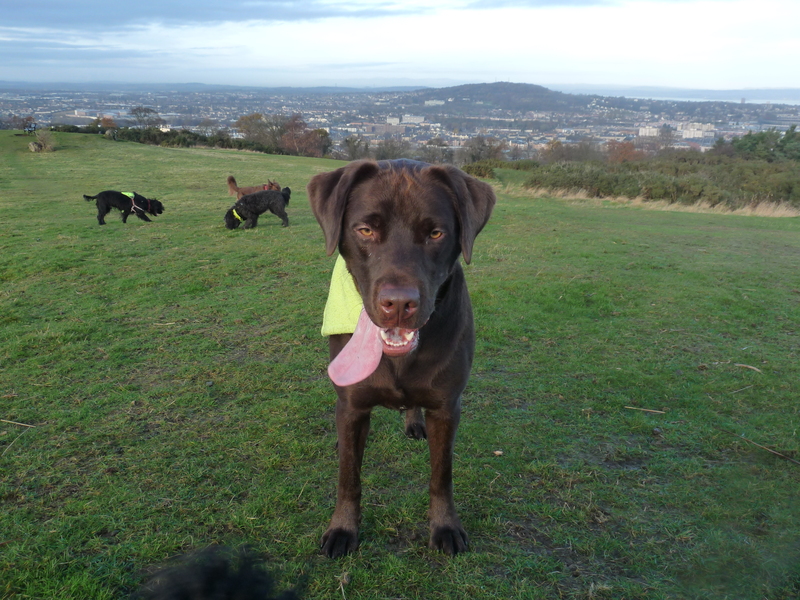 Yes its a lovely tongue Archie!